Having previously booked at City Stay Hotel, we knew exactly what to expect and were not disappointed in our second stay there. Even though we arrived very late in the evening due to transit issues out of Heathrow, the staff were very friendly and helpful. The first room they showed us was large and bright but overlooked the road, so we asked to stay in the previous room we used which is away from the road and light rail station. While much smaller, we were able to sleep with ease. 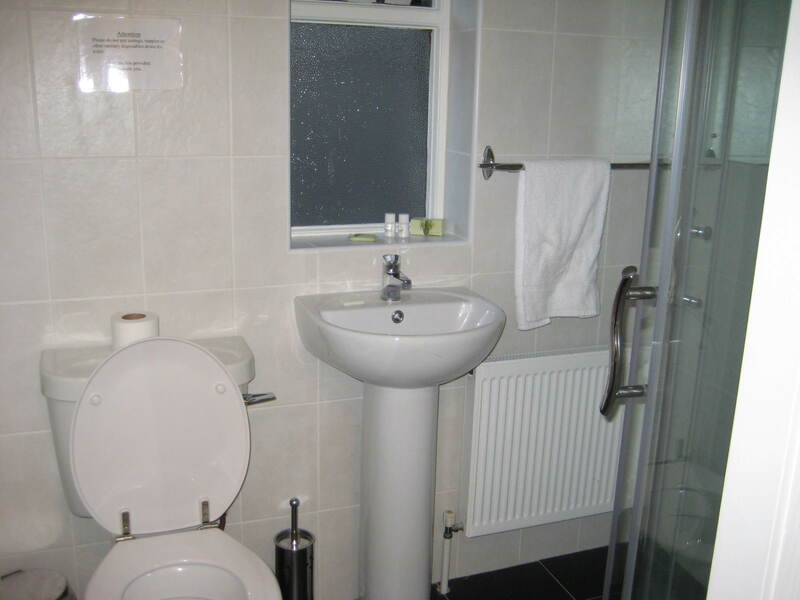 In my last review I indicated that the towels had holes in them which detracted from the overall experience and I was pleased to see that this had been rectified. The breakfast supplies were still available for all to use and the internet was fast and easy to access. Since we left on Christmas and all tube stations were closed, we were forced to find a cab. The staff offered to assist us and arranged for a staff member to drive us to the airport at 7:30 am at a discount of 20 pounds under what we had previously found. The driver, Atif, was a great guide – showing us the sights and answering our questions during the hour-long drive. I would definitely recommend this hotel for anyone staying in London. 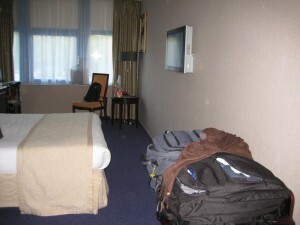 The best thing about this hotel is the location – just blocks from Leidsplein and very close to the 1, 2, and 5 tram stop – it was absolutely perfect! 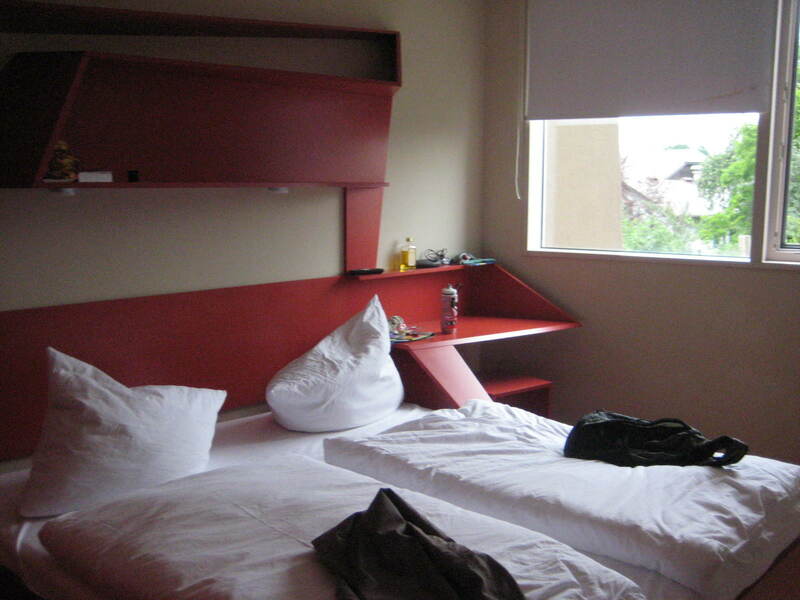 The hotel itself is really well-done with comfortable beds and nicely configured bathrooms. The internet was very fast and we had no problems using it. We were also very happy with the laundromat right across the street – perfect for backpackers. The included breakfast was very nice with toast, cheese, turkey, boiled eggs, juice, and a self-service espresso machine. 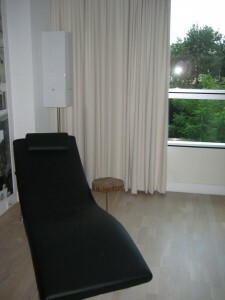 Although it was a bit more expensive than some of the other places we have stayed in Amsterdam, it was worth every penny! Clube Praia da Oura was chosen because of its proximity to the beach and its price – a steal at $32 for a one-bedroom kitchen suite. The resort is fairly large and includes a ton of amenities like pool, sauna, jacuzzi, bowling green, several restaurants/bars, and a ton of activities catering to people of all ages. Like most of the resorts in Albufeira, the internet access was only available in the lobby, however, we were happy to find that it was free and once begun, fairly fast to use. We were very happy with the fairly-priced grocery store located on the resort itself and also with the coordinated tours promoted by the hotel. We only have two words of caution: timeshare and Jackie’s. The resort caters primarily to UK tourists and is a timeshare property so you will be asked to attend a free brunch to receive a free tour of the property, etc. We knew this would become an opportunity for them to try to sell a timeshare and we weren’t interested so we were able to put them off by telling them we would be offsite on a tour or otherwise unavailable. This tactic worked very well. The other matter was what we believe to be food poisoning from the restaurant just above reception. Both times we ate there, one of us ended up with severe stomach pains and diarrhea lasting at least five days. If I stayed at Clube Praia da Oura again, I would most definitely be sure to stock-up on food from the grocery store and cook my own to avoid those kinds of problems in the future. Hostal Museo offered just what we needed for a short stay in Sevilla. Situated squarely in the gothic neighborhood, this hostal was close to everything, including the famous cathedral and palace. 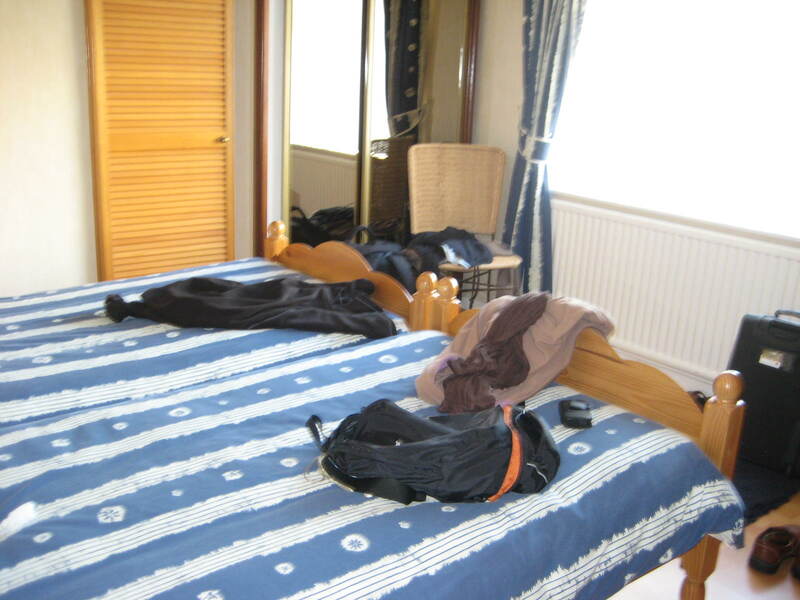 While the rooms were small, they were nicely decorated and very clean. We did have trouble with the internet working in our room on the second floor on the first day of our stay but by day two, we were able to easily access it. Staff were friendly and we enjoyed our stay. When we first arrived at Hotel La Chancla, we weren’t sure if we were in the right place. The pedestrian-only neighborhood streets did not appear large enough to accommodate a hotel and indeed, Hotel La Chancla is a small, boutique hotel with only 9 rooms. Due to travel delays, we arrived late at approximately 23:00 and were very pleased to find immediate and friendly service at the bar downstairs. Indeed, we were told that we had been upgraded to a junior suite because the rest of the rooms were already full. 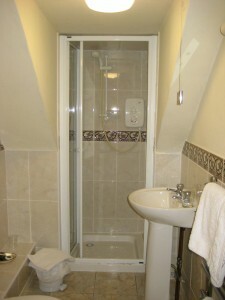 The suite was on the top floor of the hotel next to the shared jacuzzi and sauna. It was an absolutely perfect place to spend time mellowing out and watching the sunset over the beach. Although the bar and restaurant downstairs was noisy and could be crowded, we never heard anything other than the sound of gentle, lapping waves from our room. The refrigerator was a really pleasant surprise as well and we took advantage of the deck chairs on the balcony. I would most definitely recommend this hotel as a fantastic place to relax and unwind. There is even a fantastic sandwich shop just around the corner serving excellent camperos – you’ll have to try them! One caution – the hotel is about a 10 minute drive from Malaga central and although there is a bus system that will take you there, we never wanted to leave our little piece of paradise. This very basic hostal is located right in the heart of Madrid. Just steps away from the Gran Via metro station, we found it to be in a perfect location. Don’t mind the prostitutes who work the main pedestrian walkway between Gran Via and Puerta del Sol. They truly are harmless but make for fun people-watching. The wireless worked well in the room just above the reception area and was free but did require resetting every thirty minutes. 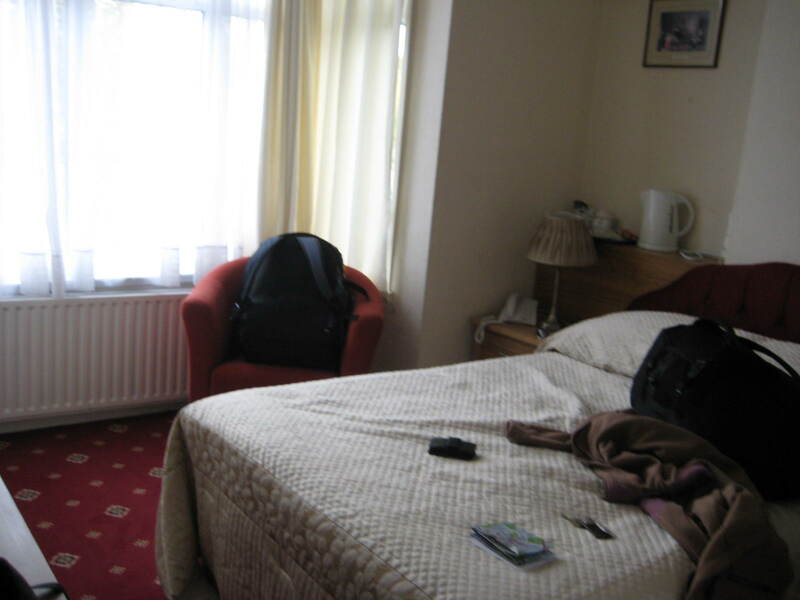 I would recommend this hostal to someone on a budget who is not expecting much from the room but lots from the location. Breakfast was a basic cereal, bun, and wrapped pastries affair which held us over until the late lunch – perfect! 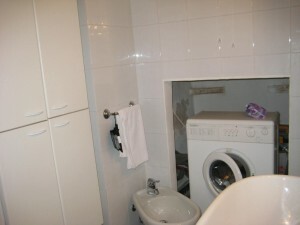 We were also really pleased with the laundry room and the available bar downstairs. 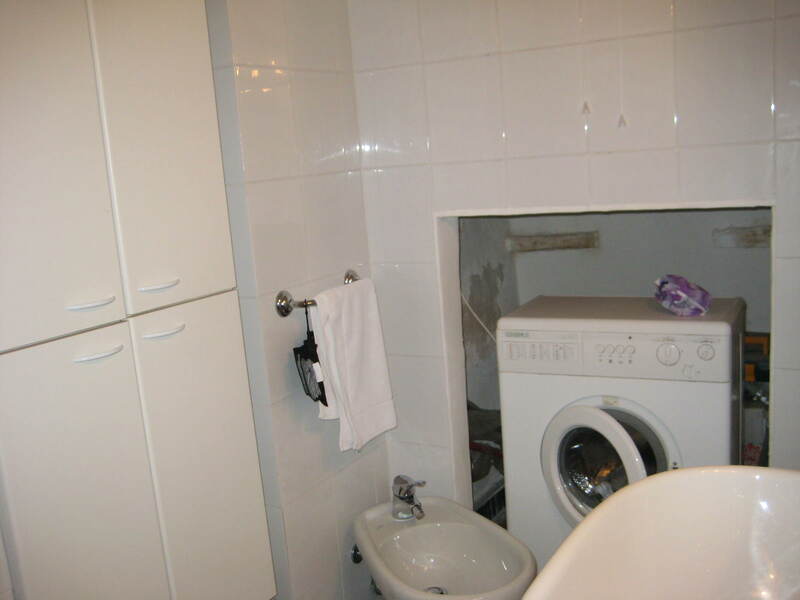 This apartment was very pleasantly surprising. 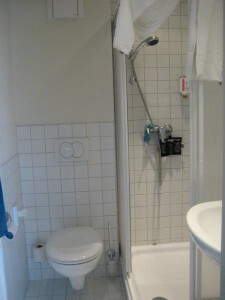 It was very well-designed and nicely equipped for a short or long-term stay. 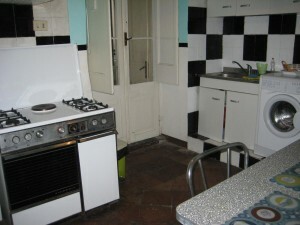 We were pleased with the kitchen which included a stove-top, microwave, refrigerator, and even a dish washer. 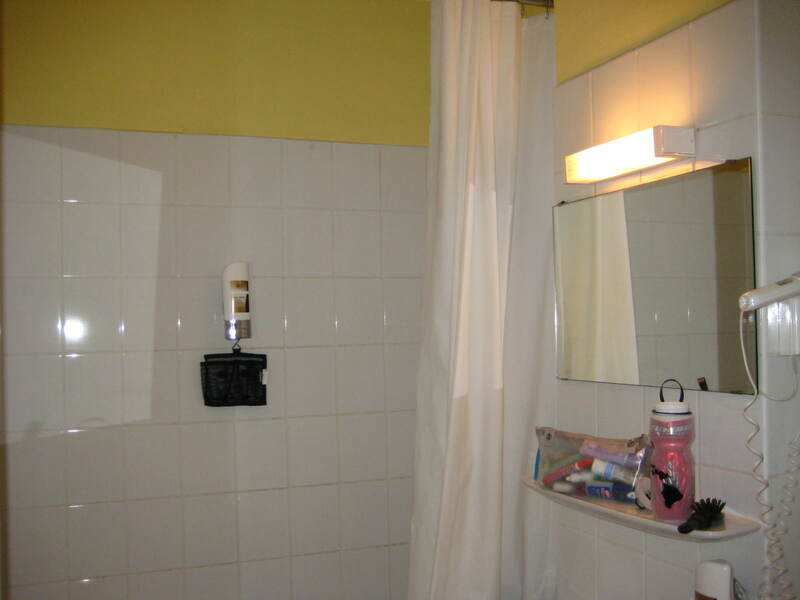 The bathroom was nicely done and spacious – only complaint (minor) is that the shower could use a curtain to save the floor from getting so very wet. The balcony was a really nice bonus and we loved the privacy blinds that blocked out the sun. 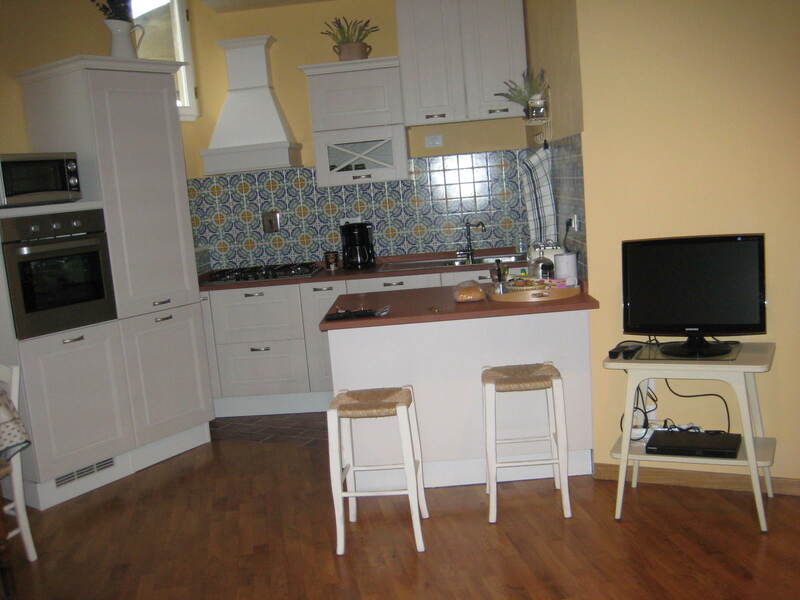 Within walking distance of the city center and the main train station, the apartment is located near several restaurants and grocery stores. There are many buses that pass nearby as well so we found getting around to be very easy. To get to the City of Arts & Sciences, take the 81 bus then change to the 95 and be sure to wait to get off until the bus turns around through the circle and heads back toward town (it should become obvious). This tactic will save you some walking which you will need for the aquarium and museum center. This interior apartment is located in a seedy, but safe neighborhood in the south west section of Las Ramblas. Convenient to a ton of restaurants, bars, and cafes – we found it ironic to have a very basic kitchen in an area where you’ll hardly use it. It was nice for eggs and cereal in the morning, nonetheless. The small studio has two twin beds, a small table and two chairs, and a tiny kitchen equipped with the basics (microwave, ice box, kettle, toaster, hot plate, dishes, soap, sponge, sink). The lack of an outside window could be a problem but lighting was bright and changeable and the a/c unit handled air-flow nicely. We rather enjoyed the ability to sleep in late without morning sun getting in the way (nice when you are out late enjoying Barcelona’s night life). 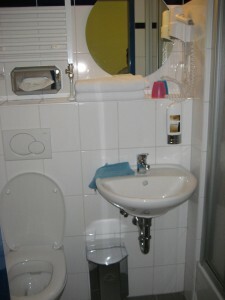 The tiny bathroom was separated by sliding pocket door and included a separated toilet, larger shower than most, and sink with room for toiletries. Wifi was password protected and ran well about 60% of the time. A few times it went down and we had some trouble connecting but we usually managed to find a different router to reconnect. In all, the apartment was well-done, access was well-restricted, and the staff were very friendly and available. 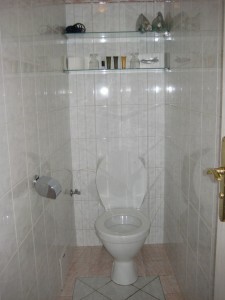 I would recommend this to anyone staying in Barcelona. 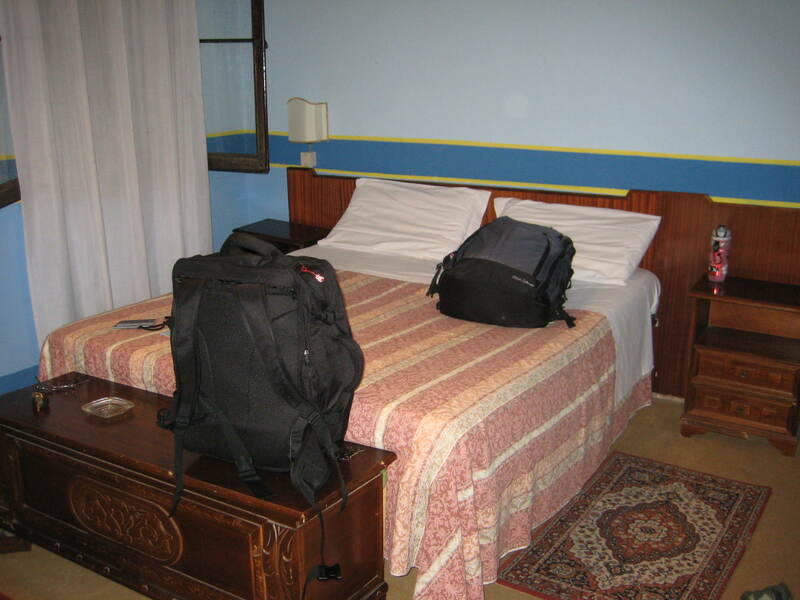 This hotel is convenient to the Urgell metro stop and in a neighborhood that feels safe and residential. There are several grocery stores located nearby and a small selection of restaurants open at various times of the day located in the streets around the hotel. 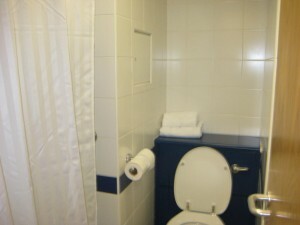 Staff were friendly and accommodating and a security guard was on-staff in the evenings. 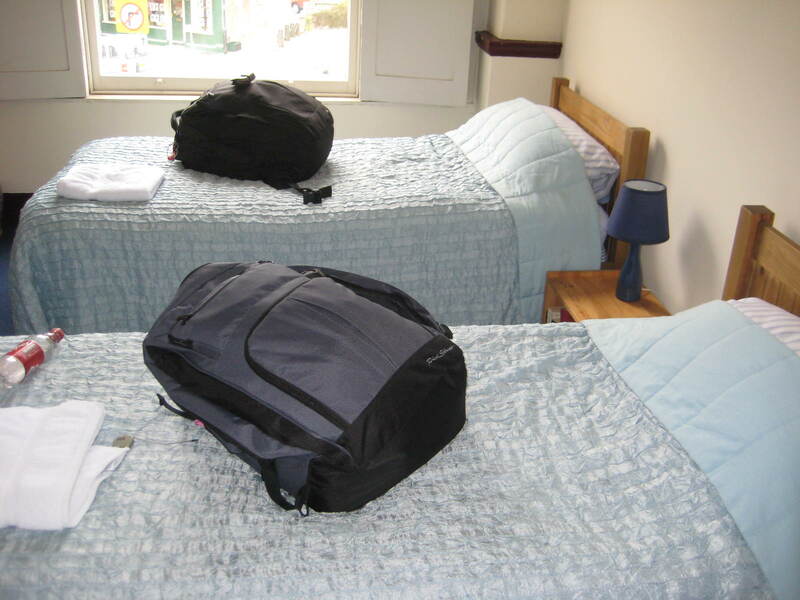 The rooms themselves were spacious and nicely appointed with a large closet for organizing. The bathrooms were large with a full tub and stone floors. It would have been nice to have carpet in the hallways to prevent walking and rolling noises from being heard inside the room. Wifi was free and had a strong connection, however, you had to register with Wi-Fly and re-connect after several uses. Would stay here again but moved closer to Las Ramblas for my next three-night stay in Barcelona. This hotel was originally built in 1913 and unfortunately, it shows. 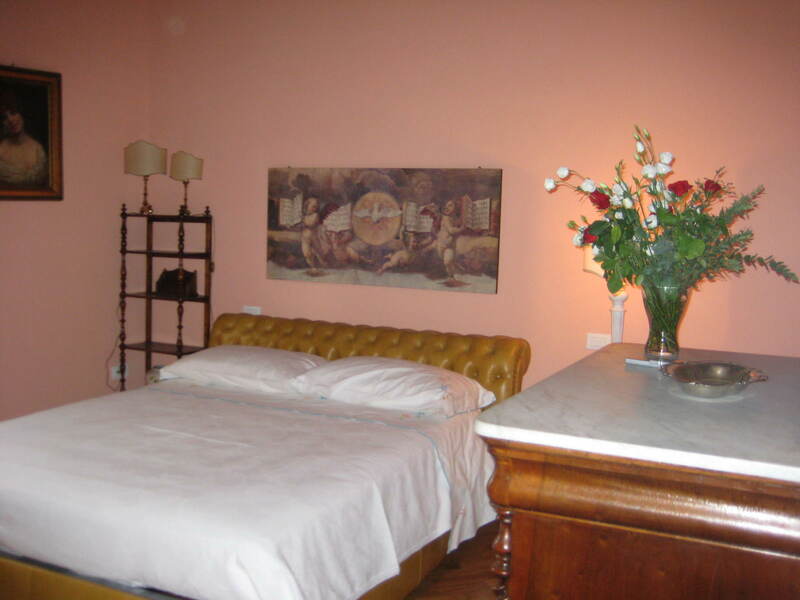 Conveniently located on the Rue de la Republique and extremely easy to find from the Avignon Centre train station (just walk straight out and continue until you reach the hotel on the left), this hotel would be okay for a short stay. The staff is friendly and helpful and check-in was a breeze, but the rooms are a let-down. 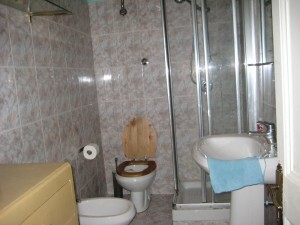 They are tiny and furnished with 1970s decor and the bathrooms are in serious need of renovation. Wifi access is available for free in the lobby and intermitently works in the rooms (at least on the second floor). There are a few other hotels in their price range in the area and it would probably make sense to check them out before coming to the Regina. The disappointing thing is that the rooms have so much more potential in their period charm than is being actualized with them. We used one of our free hotels.com rewards nights to stay at the Fairmont and enjoyed a beautiful, quiet room with a terrific sea view and a fabulous balcony to fully enjoy it. Service was impeccable and we couldn’t have asked for a better room location. The casino downstairs made the hotel feel like a true resort and to be honest, we never left – enjoying dinner at the restaurant in the casino with mediocre reviews and room service breakfast which was simply outstanding. We were never able to make the wifi access in the room function, but since we were only there for one night, it wasn’t a big deal and we didn’t want to use it anyway. When we walked around the outside of the hotel later, we were surprised to find that our room was built on pilings in the sea and that running underneath our hotel was a fast-moving multiple lane road – but we never heard the car noise on the fifth floor. I would absolutely recommend staying at the Fairmont to anyone in the future, however, eat dinner at one of the other restaurants in the building – service will likely be better. 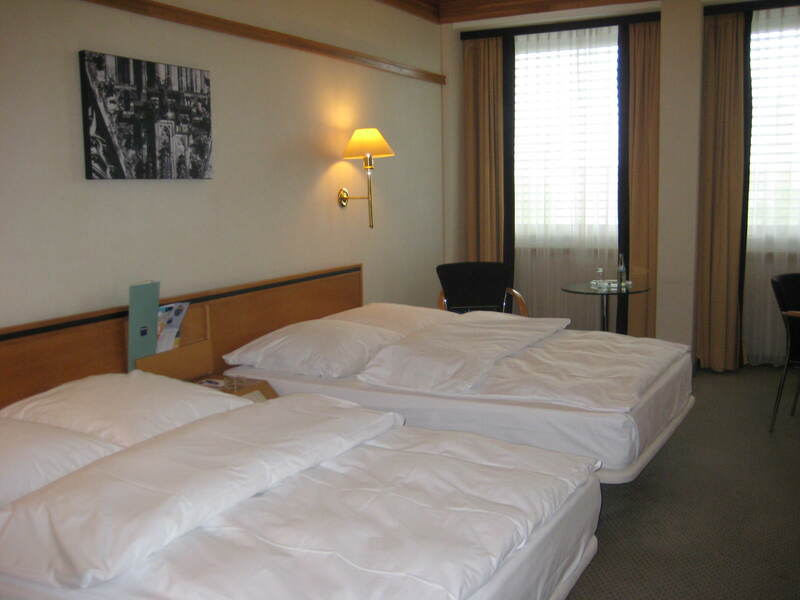 This hotel is conveniently located near the train station and the tram stop and in a decent neighborhood. The exterior facade of the hotel looks well-kept and nice, however, the interior betrays it completely. Upon arrival, we were presented with two keys and asked to choose our room. This novel idea was nice and I’m glad they provided it. The first room we saw was spacious with a double bed and two twins, even though they looked like Ikea knock-offs and the window didn’t open, we ended up selecting it as the second room they presented us with had two small, twin beds separated in a cardboard box of a room with a bathroom so tiny that the toilet had been rigged up against the tub, especially after we specifically requested a double bed – this was a bit annoying. The only major issue with the hotel was that free wifi in the rooms were promised on the hotels.com website and in fact, it is not available – only in the lobby area where we ended up camping out for over four hours to take care of some personal business. 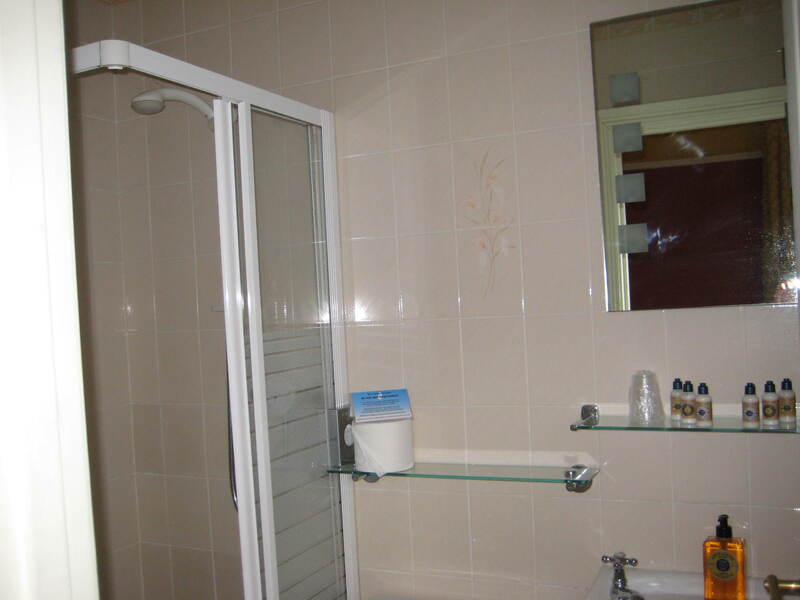 Ultimately, there are a lot of cheaper, accessible hotels in Nice – I would recommend looking elsewhere for a place to stay for longer than one night. 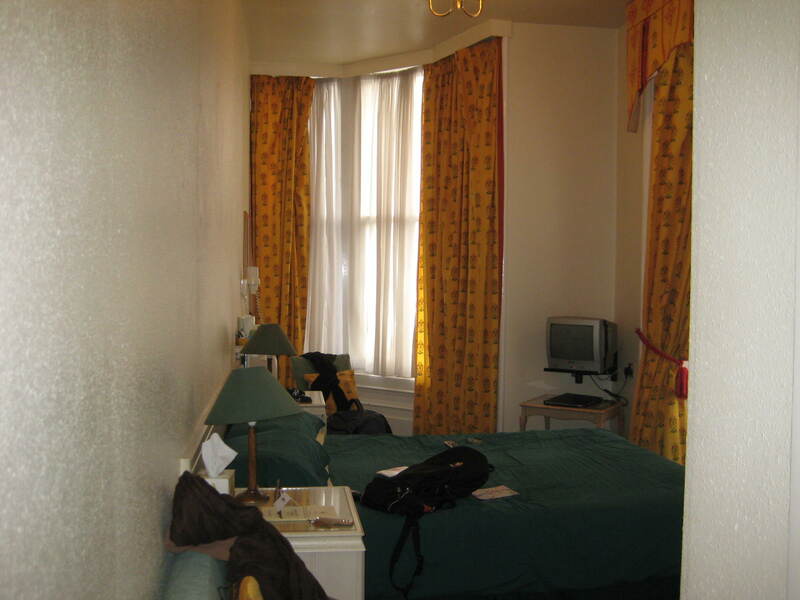 The Hotel L’Europe is just to the right of the central train station in Tours, excellent for a short-term stay. Run like a small boutique hotel, which in reality, it probably is – this hotel was perfect for our stay. 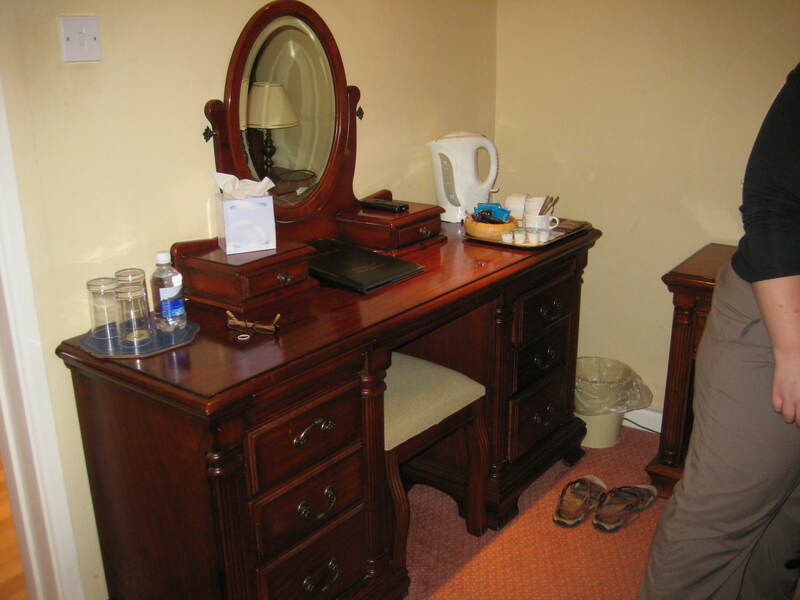 The room was nicely appointed with a double and twin bed, armoire, small desk, and two chairs along with a bathroom that included a separate area for the toilet, shower, and sink. The free, fast wifi access was also very appreciated. There are several restaurants nearby and we found it overall to be very convenient. With a shuttle bus running every 12 minutes to the central resort area, we found this hotel to be ideal for our two-night stay. The deal we found on hotels.com included unlimited three-day access to both of the parks along with a continental breakfast. The first day we were to show up at 9:15 for breakfast and the line was incredibly long – we decided to eat in the park instead and saved ourselves time and frustration. The second morning we came much earlier, at 7:30 and were able to walk right in and find a table and our food. Staff were all very nice and helpful. 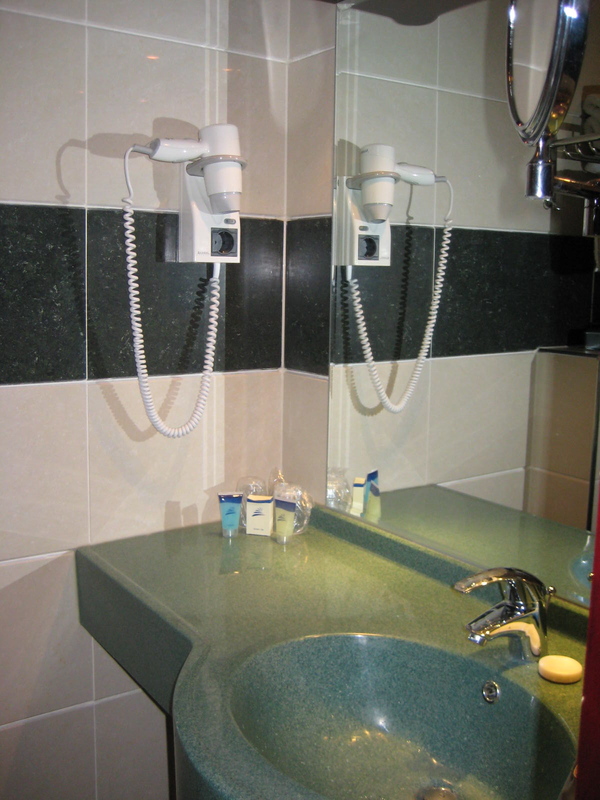 The rooms were nothing fancy but the large “American-style” bathroom was a treat – well, that along with the neat Mickey soap and shampoos. There are only a few channels and most of them are Disney programming and there is no wifi capability in the resort – but really, you’re not at Disney for those things anyway. We did find the laundry room in the building to be perfect for our needs. 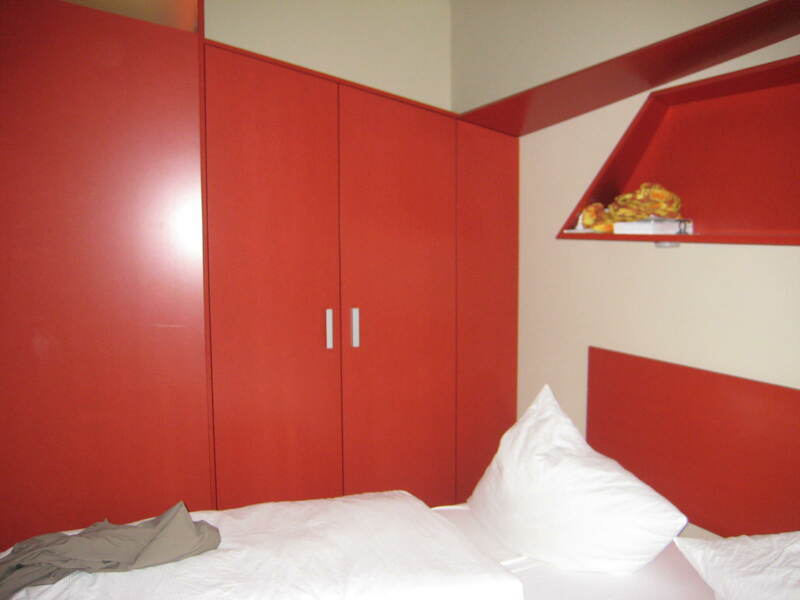 Situated less than a block from the Jaures metro station, this budget hotel was a great find in Paris along the 2, 5, and 7 lines. The neighborhood was just fine – a workaday type but with quite a few different restaurants to choose from if you returned to the room early enough. 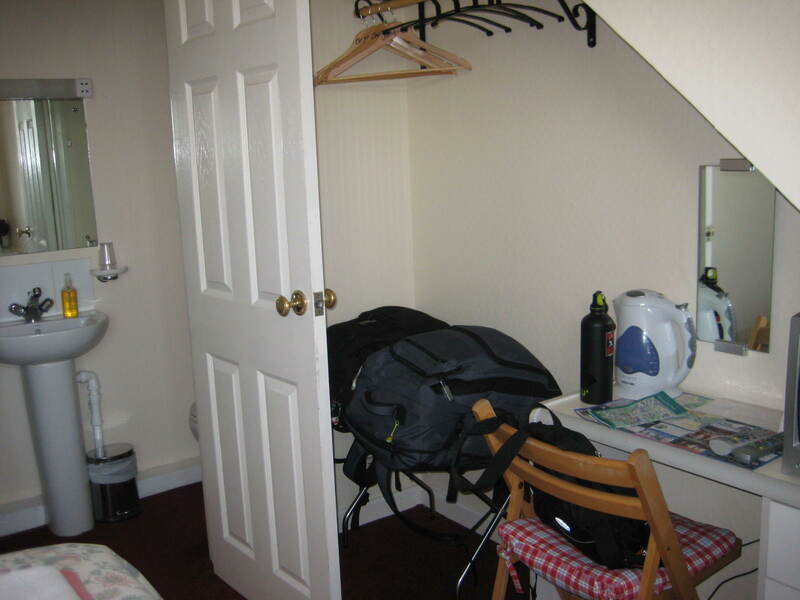 The room and bathroom were tiny – really tiny but we didn’t spend that much time there anyway so it didn’t make much of a difference. The wifi was free but using a very irritating program to run it which required constant re-logging in and for two days barely worked at all. Depending on pricing, you might be able to find something in the Latin Quarter or Marais for just a bit more and I think those neighborhoods might give you a more authentic Paris experience, however, the price is definitely right. We stayed in a room at the back of the hostel – away from the common areas and front street where the drunken people can tend to disturb. Our room was perfect – just what we needed. Basic and small to be sure but with free and easy wifi and our own bathroom – mind you the door between the rooms wasn’t actually on it’s hinge and the bathroom looked like a do-it-yourself project but it was fine. The shared kitchen is really tiny and not the most welcoming but breakfast in the form of breads and meats and cheese is provided and that’s lovely. Be sure to try some of the tours and beer tastings sponsored by the hostel – very worth the price of entry. The staff are very friendly – offering advice and useful tips and info at all hours of the day. 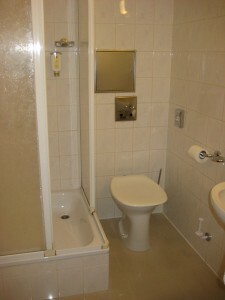 Separate toilet and shower area was a nice bonus. The two burners and ice box really came in handy as did the microwave. Beautiful sunset from the living room area. 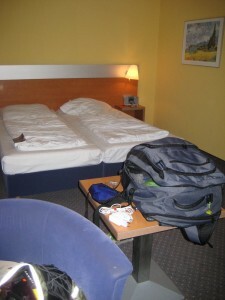 The deal we got on booking.com was great at 55E/night was a great value. Only real negative is the neighborhood lacked basic things like restaurants and stores. The nearest of these are at the major Brussels south train station which closes at 9 pm (about 12 minutes away). Most other stores close at 6 pm. Be sure to have supplies before you get to the hotel. Overlooking a canal near a tram line, the Banks Mansion lived up to expectations. The rain shower was lovely. The provided slippers and robes would have been excellent – but we weren’t in the room long enough to use them. A major factor that sets apart this hotel are the free amenities like free access to the bar downstairs, free mini bar with cognac, whiskey, and gin and a supply of soft drinks to choose from. Also a few snacks were provided. This was all quite lovely but we didn’t end up drinking a lot – mostly because I caught a cold in Dublin and spent a lot of time sleeping on the, extremely comfortable, bed. The location was just off of the 16, 24, or 4 lines to Centraal so it was very convenient. Located just across the courtyard from the Jameson’s Distillery, the Maldron Hotel is a nice, budget option for Dublin’s exorbitant prices. While you can tell the neighborhood was in process of revitalization, along with much of Dublin it is a mixture of new and run-down old. Aside from the firecrackers at night, we never felt unsafe, nor had any problems. It was also really nice to have a full grocery store right next door along with a pub just down the street, Subway across the courtyard, and a movie theater and Italian restaurant in the same complex. Additionally, the Dublin light-rail station, LUAS Smithfield is very convenient to the hotel. We did use the LUAS twice while there but access to the castle and Temple Bar areas are easily walked. 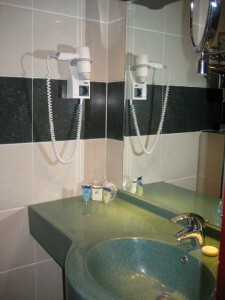 The rooms and hotel itself are furnished in a modern style and the bathrooms are large with good fixtures. It would have been better for the hotel to provide a shower curtain for the tub instead of the half-glass partition as it had a tendency to leak water on the floor. We were first given one room, a non-smoking unit, however, the broadband was not working in it so we asked to move. We were relocated without issue down the hall about an hour later to another non-smoking room. However, this one was surrounded by smoking rooms and the smell was constantly present in our room even though we don’t smoke. We were most disappointed, however, to find that there was only one broadband access point in the room and that wifi was only available in the lobby of the hotel. This hotel would be recommended only if the prices for those nearer to the Connelly Station are too high and you don’t require ongoing, steady access to the internet. The Railway Hostel is located just down the street from a grocery store and across from the Bus and Train Stations, making it super-convenient. 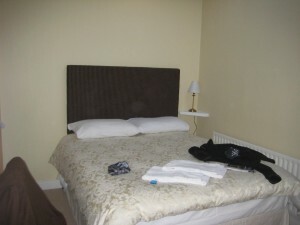 The rooms were excellent with the basic furnishings and free, fast wifi access. Brilliant! The large kitchen included approximately 9 gas burners, two dish sinks, a fridge, and one microwave. It was well-used by hostel guests so be sure to eat late/early or be prepared to get comfy in your cooking. The dining room and free, supplied breakfast was perfect including cereal, toast, tea, and coffee. 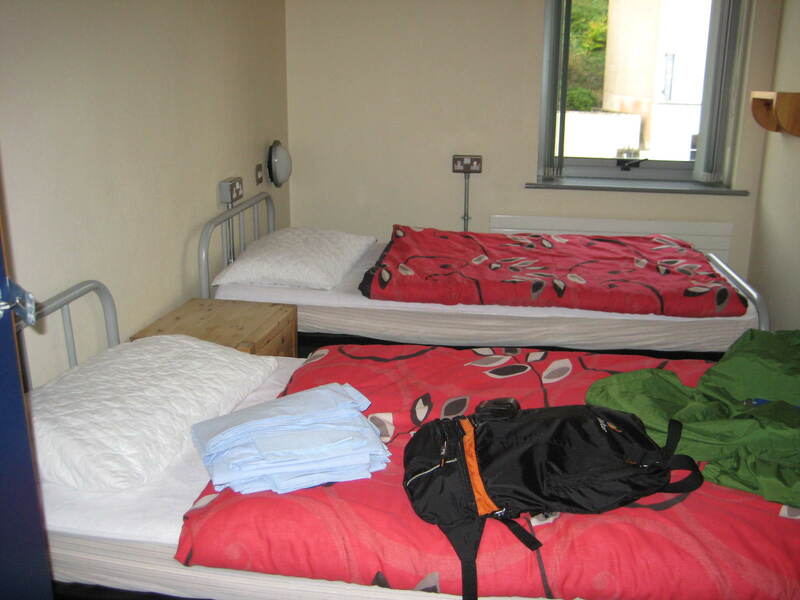 The room we were in was very close to the central, shared areas and so the noise was loud until about 11 and began again at 7 – however, this is expected in a hostel. I would definitely recommend anyone to stay at the Railway and bring earplugs if you’re a light sleeper. 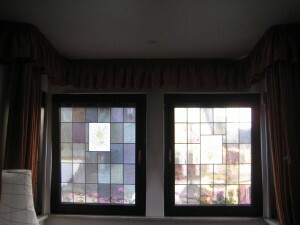 We stayed at the Windway House for one night in October and found it to be a nice B&B with excellent service. 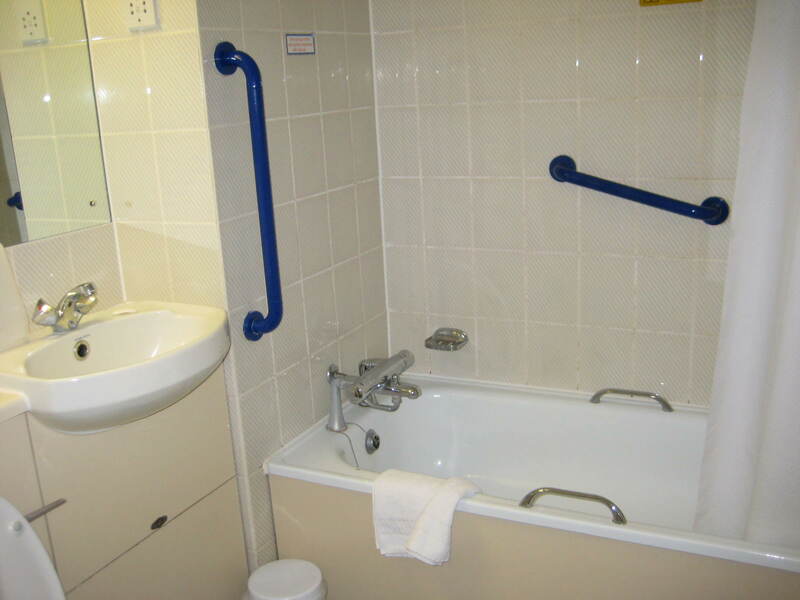 All ground-floor accommodations, this B&B would be great for mobility-impaired individuals. The shared lounge was nice for relaxing and the tea was welcome. Signals from the router, however, were very weak and by turns we had trouble connecting in the lounge and in our room itself. 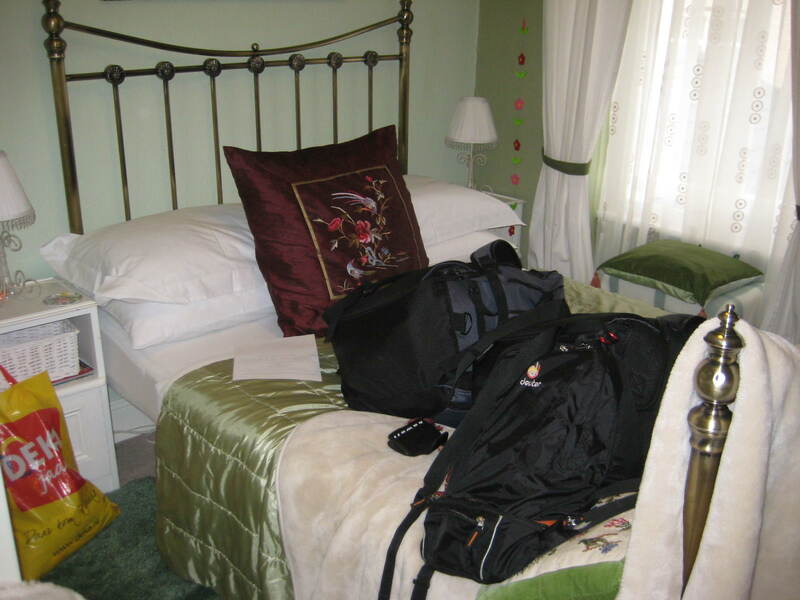 The B&B is located approximately 5 minutes from the town center by an easy, level walk and is fairly convenient to the bus and train stations. It is a recommended stay for those in Killarney for a few days. We needed one more night in Galway and found St. Jude’s Lodge. We were a bit apprehensive due to the negative reviews but had absolutely no problems with our stay there. 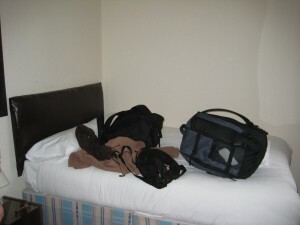 The room was nice, with a double and twin bed and all the basics. 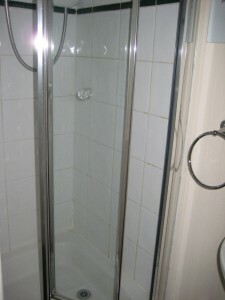 The shower worked well and the cooked breakfast was excellent and quite large. The free wifi access worked very quickly and was much appreciated. 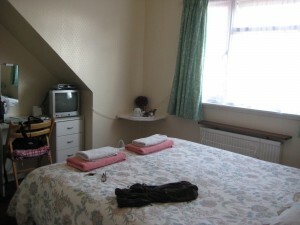 Located about 7-10 minutes from the bus station, I would definitely recommend this B&B. We enjoyed our stay at the Desoto B&B in Galway. It was located just outside of the city center and about a 10-15 minute walk from the bus station through the major shopping and dining area, so it worked out very well. The room was very nice and recently renovated and we were pleasantly surprised to find a mini-fridge in the room – great for chilling a pint or two of cider! 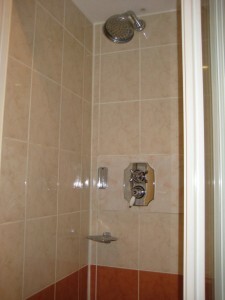 The shower worked well and we had no complaints about breakfast either. The free available wifi was excellent – very fast and no problems connecting. The Bridges Hostel is in an interesting and recently renovated building in central Enniskillen – perfect for backpackers. This hostel is perfect – with a mix of dorm-style and private rooms, all en-suite. The shared facilities include a TV lounge, full kitchen, and laundry facilities which really came in handy. 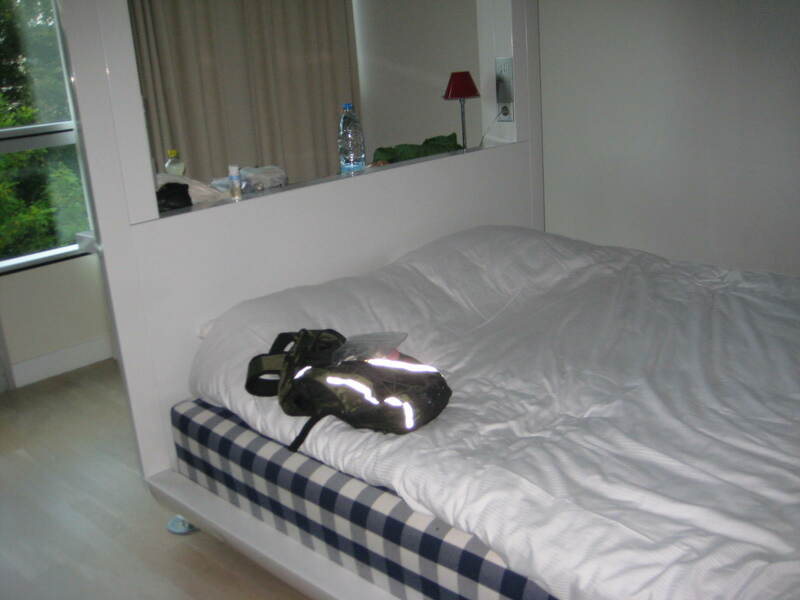 At 37GBP/night, we didn’t mind making our own beds and stripping them in the morning. The cafe downstairs and attached art gallery are great for killing time in a rain storm and there are several pubs and restaurants nearby. I would definitely recommend this for budget travelers in Enniskillen. We found a double en-suite room at the Amore B&B through the local Tourist Information Centre for 56GBP/night. The room was comfortably and modernly appointed with both a double and twin bed. 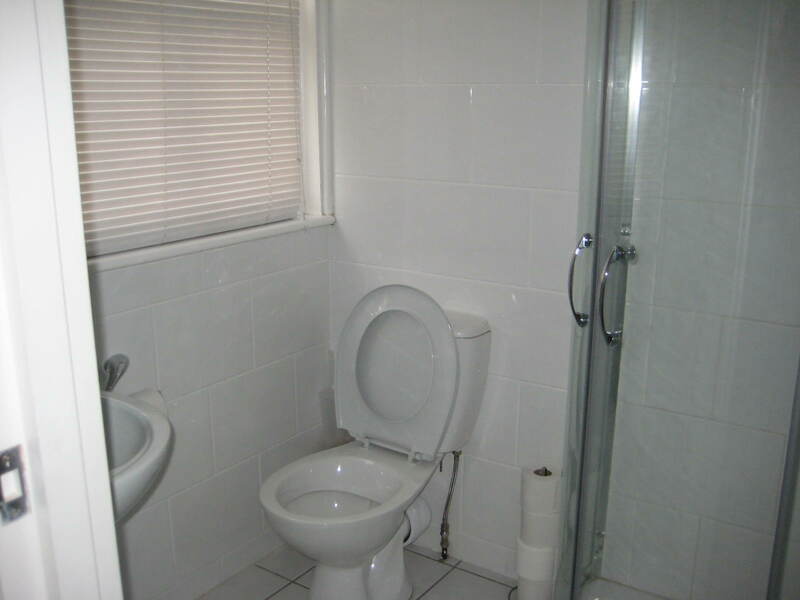 The owners have done a good job maintaining the interior appearance. The provided PC for guest use was a nice bonus and free wifi was fast and very easy to use. The host’s provided Irish breakfast was the most nicely presented we’ve had yet and we loved the pancakes. Yummm… After experiences with some of the more intrusive B&Bs lately, we were happy to be left to our own devices for most of the afternoon and evening. The neighborhood is undergoing revitalization but still shows signs of The Troubles and Bloody Sunday that made such an indelible impression on us. I would definitely recommend visiting the nearby Museum of Free Derry and mural walks very nearby to learn more about the area. The host was very friendly and I would definitely recommend Amore B&B for any time spent in Derry – it’s a great respite and near enough to the bus and rail stations to be quite handy. 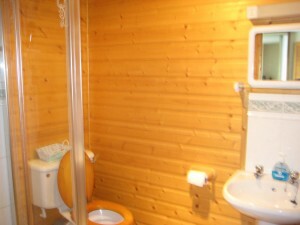 This B&B was booked at the Tourist Information Centre for 60 GBP/night for a double en-suite. We were told that the space overlooked the harbor and were excited by the prospect of early mornings and late nights watching the lights twinkle against the water. Unfortunately the en-suite rooms did not face the harbor and we instead had a view of the back yard and the multi-story hotel on the ridge behind us. The rooms were adequately equipped with two twin beds and a spacious retro-fitted bathroom which was quite nice and functioned rather well. The TV in the room was staticy, gave off smells of ozone and only received four channels via rabbit ears. As the TI explained, wifi access is not available at any of the accommodations in Portrush so we used the internet cafe, Grounds about 7 minutes away, to do the research we needed. Breakfast was the standard Irish breakfast fare: toast, eggs, bacon, sausage, tomato with juice, cereal, and coffee or tea. In the future I would skip the coffee and go for the tea instead. The breakfast view was nice though and did overlook the harbor. In the room, tea and instant coffee were available but the tea bags were open and tasted rather old. The first morning we were there, we were surprised to find a cleaner in our room and our things moved around when we returned from breakfast but since we weren’t originally planning to extend our stay by another night, it seemed appropriate that the room could be cleaned while we ate. 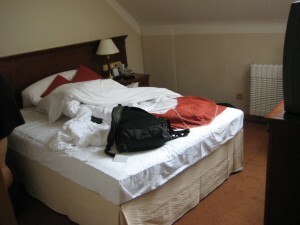 The next day, however, we were just a bit irritated to find the same cleaner in the room when we returned from breakfast. The beds had been stripped and tossed and towels removed, even though it was 9:30 and we weren’t supposed to have to check-out until 11 am. Again, our open bags were moved to allow for the bed stripping. In retrospect it is all understandable; however, it left us feeling a bit violated and rushed out. 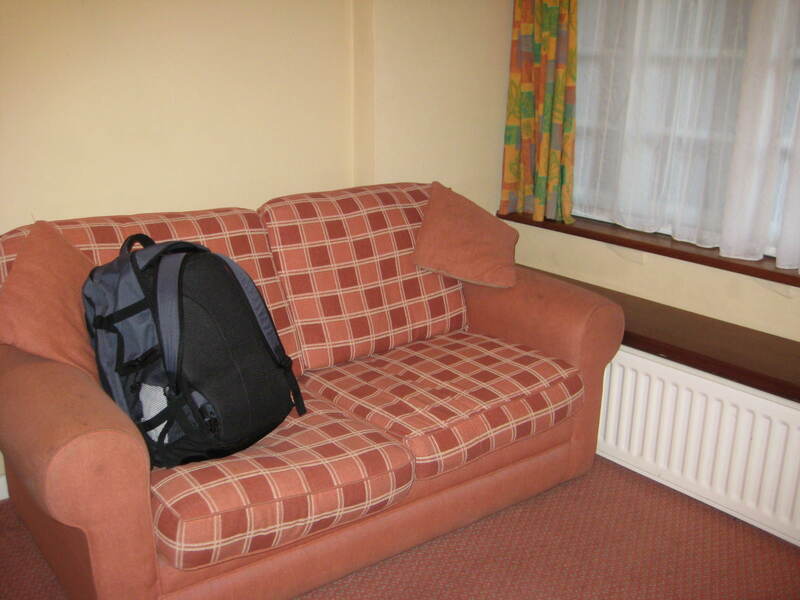 This perfectly situated, basic hotel suited our needs in Belfast nicely. About two blocks from the Great Victoria Bus and Rail Station, we never had far to go for our transit connections. There are a number of shopping and dining options in the neighborhood, including the famous Crown Pub – a beautiful place for a pint. 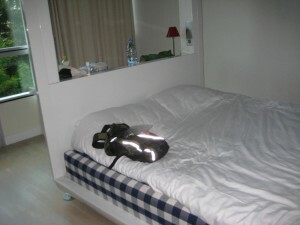 The bed was comfortable and we were happy with the cable TV. 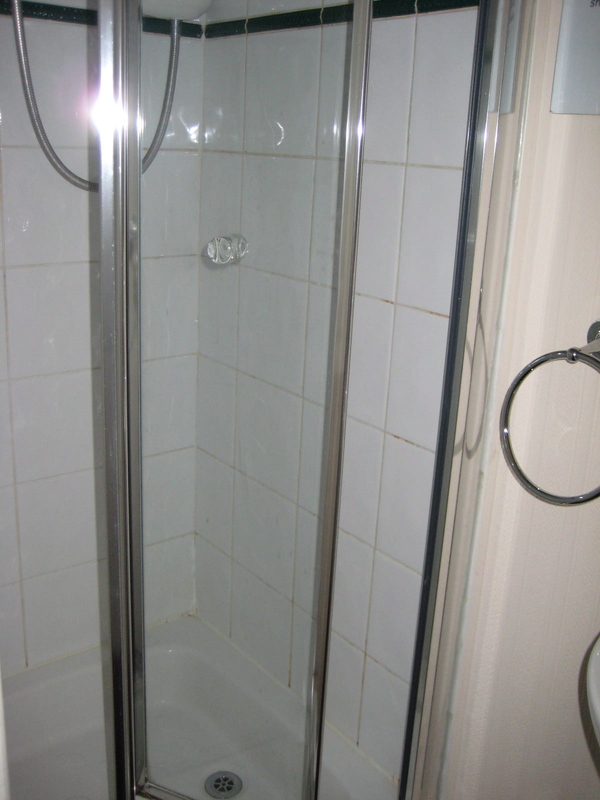 Our shower was a bit larger than we’ve found in most UK hotels, however, it was not draining properly and made for a bit of overflow even with the caution we took when using it (wet, stop water, lather, rinse, repeat). Wifi access was available; however, it was pricey (8.95GBP/day or 13.95/2 days) and very slow. We stayed at the City Stay Hotel near Bow Road for six nights in October and found it to be a perfect respite from our journeys in the London jungle. The room was small – but not stiflingly so. The bathroom was larger than some we’ve seen in our journeys throughout the UK and on the continent and the shower just missed winning the “best shower” award because it could have used a shower wand head rather than a fixed position nozzle – the water pressure and temperature was great though. 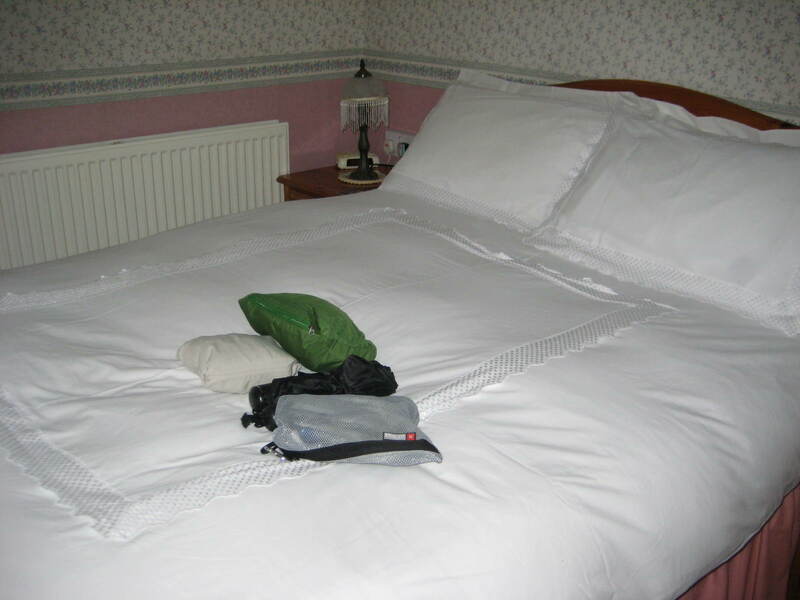 The bed was very comfortable and we even had enough plugs for our electronic equipment in the room – no easy task and one that most rooms fail. The room was a bit hot even with the furnace off but we were happy to use the supplied fan to cool it down. We were gone from very early to very late in the evening and so we did not use the available kitchen very often but when we did we found it perfect – with everything necessary supplied and the free bananas, cereal, and toast in the mornings were fantastic. 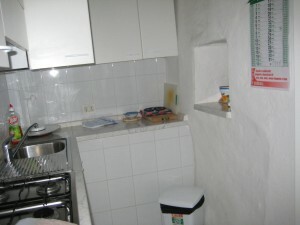 The kitchen had a stove, oven, toaster, and microwave along with all cookware and dishes needed – perfect! We also loved the fast and free wifi access that we easily reached from our room and were happy to find that the hotel actually set-up multiple routers to ensure connectivity. Our room was cleaned thoroughly every other day which was perfect for us because I don’t believe it is necessary more frequently and is just a waste of time, money, and energy. We also loved the location – on a major street in between the Bow Road underground stop (about two blocks away and accessible by the District Line and Hammersmith & City lines) and the Bow Church light rail station right next door. Our room was on the interior of the hotel and away from the street, so we had no street or light rail noise. 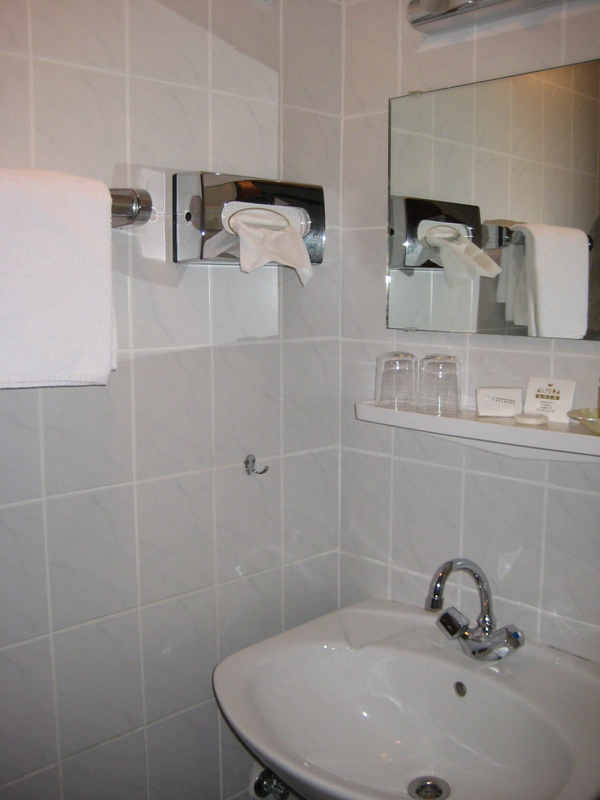 Our only suggestion for improvement would be to check out the quality of the towels – some of them have really large gaping holes and this detracted from the overall experience, however, this is a really minor issue and we were very pleased with our time at City Stay. 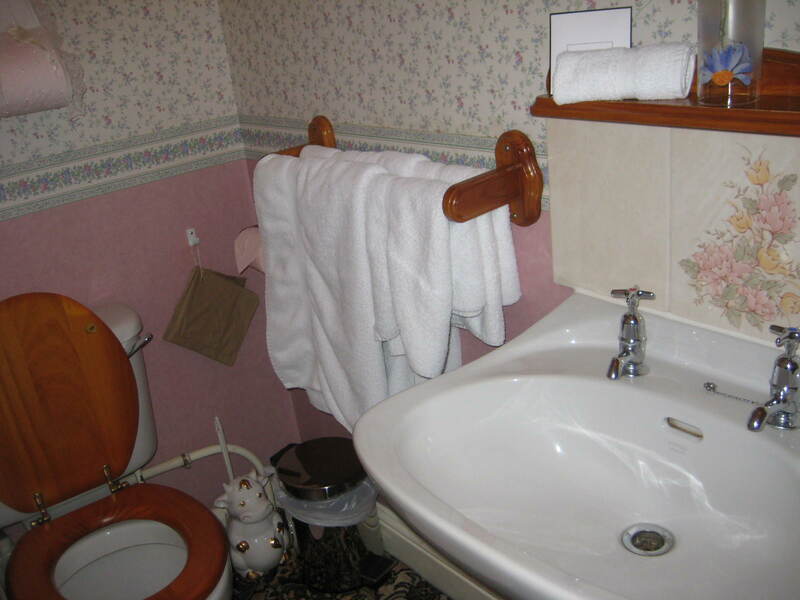 The retro-fitted bathroom was the size of a closet but this is not unexpected after traveling in the UK B&B scene for three weeks. 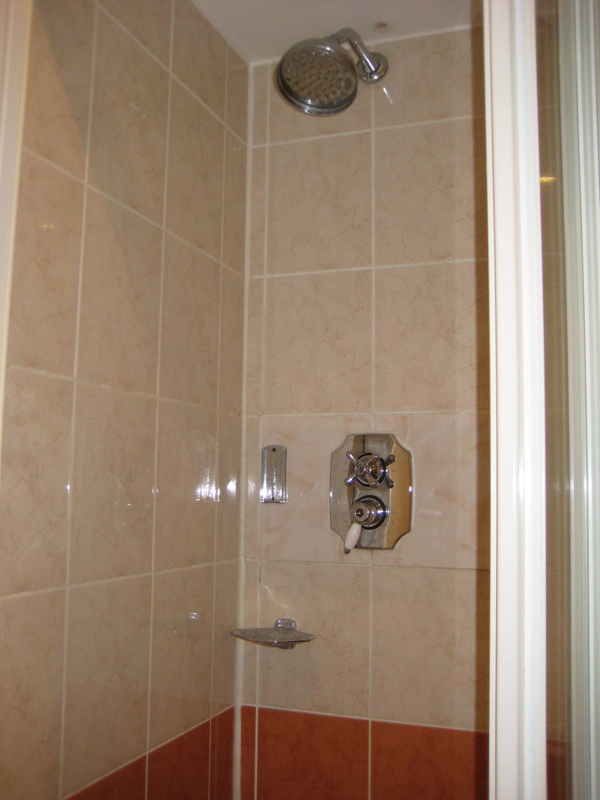 What was a bit unexpected was the total and complete lack of water pressure in the shower. With thick hair, washing was nearly impossible but at least the water was warm. We were happy to learn that the promised free wifi actually did work in our room, perhaps due to proximity to the hotel center. Breakfast, served from from 7:30 – 8:45 am was adequate, standard English breakfast food and quite filling. Staff, for the most part, were very friendly and helpful. If nothing else is available, this will do nicely. We found the Staymor through the Tourist Information Center and found it to be just what we needed! 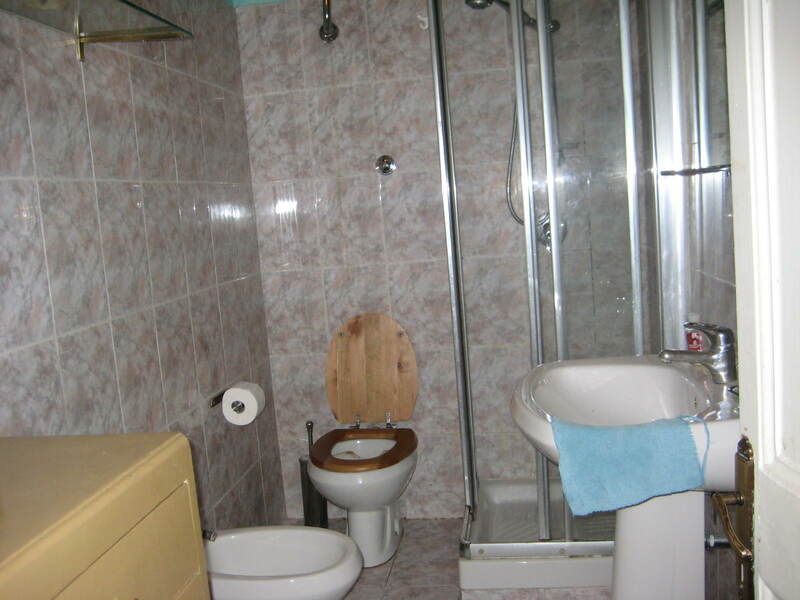 The double en-suite was small but adequate and nicely furnished. Water pressure on the top floor was great and the free wifi was perfect. Breakfast was the traditional fare and was nicely cooked. There is a slight odor of stale cigarette smoke in the house entrance and hallways but in the rooms it was not at all noticeable. The hosts were lovely, making us feel at home and going out of their way to ensure we knew our way around the town and provided recommendations on sight-seeing opportunities. This is definitely a recommended guest house at a reasonable 60 GBP price! We found this Travelodge just off the A1 freeway and situated right next to a Little Chef restaurant to be just what we needed in a pinch. Rates were reasonable at 51 GBP not including breakfast but for a double en suite, compared to the other hotels nearby, it was perfect. The room had a musty odor to it when we initially arrived, however, we opened the windows and aired out the smell fairly quickly. 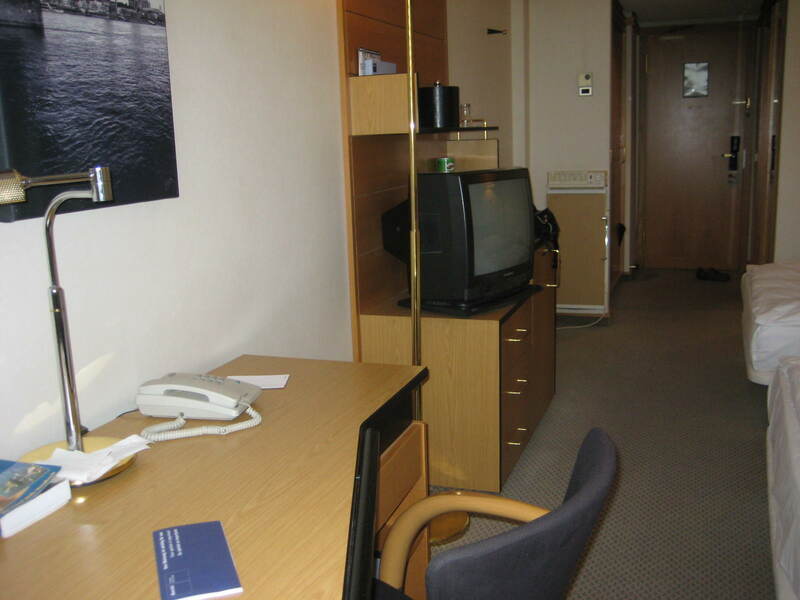 The room and bathroom were fairly spacious and included a couch and TV with cable. Check in and out were very easy and we found the restaurant to be convenient for a late dinner. Wifi access could be purchased for 5 GBP/hour or 10 GBP/day but we found the free wifi at the Little Chef to be just what we needed. 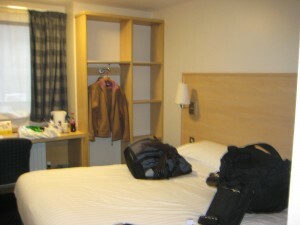 We found the Dorstan Private Hotel through the Edinburgh TI at a rate of 25 pppn for a double en suite. 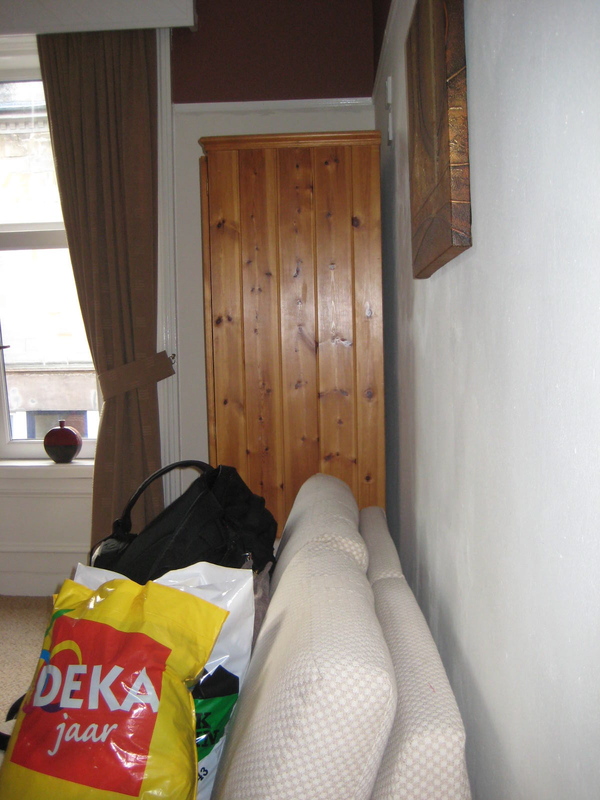 We were very excited when we arrived to a very large house just off of the main bus route taking you easily and quickly to central Edinburgh. 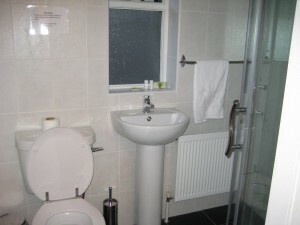 The room itself was adequate with large windows and a bathroom that includes a soaking tub. Breakfast was great – you would select your items the night before from a wide variety of choices. The free wifi access was very fast and easy to use. 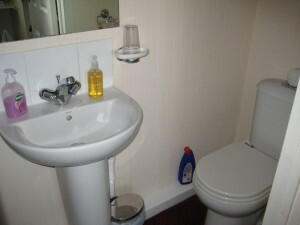 I would definitely recommend this B&B to anyone staying in Edinburgh. Upon arrival in the larger university town of Inverness, we immediately headed to the TI to book our room in a B&B and found the staff there to be very helpful. Needs identified, they contacted Moray and found them to be met there. The house is located just about a 7 minute walk outside of the town center and is a lovely walk along the River Ness. We stayed in a room on the top floor with angled ceilings and a separate sitting area. 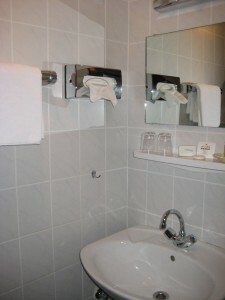 It was very nice accommodations — our only fault of the room was that the bathroom was very cold – the floors were almost unbearable so the provided bath rug was moved around the room as needed. We did find the free wifi access handy until it was oddly changed at around 9:30 pm in the evening while we were using it and we no longer had any access. We felt it was too late to speak with the owners and gave up for the evening – trying again in the morning, we still found it inaccessible. We arrived in Oban at just after 5 pm when the town’s TI closed so we were on our own to find a place to stay for the night. Luckily we drove right onto Strathaven Terrace, a street lined with B&Bs. Our second approach found just what we were looking for: nice, comfortable en suite accommodations with wifi access, car parking, and a delicious included breakfast. Our hosts were very friendly and offered the room at 50 GBP – an affordable but average rate for the town. We spent a very comfortable night at Raniven and would recommend it to others in the area for location and overall accommodations. We booked our stay in Stonegarth at the TI located about 30 miles away in Bowness – had no idea what it looked like or its other features. When we arrived, we were immediately greeted and shown our room, a double en suite at 32 GBP pp. It was spacious with a large flat-screen TV and a comfortable bed along with a mini-fridge for our items and basic tea and coffee service. The free wifi was much appreciated and the proper English breakfast in the morning was absolutely perfect. 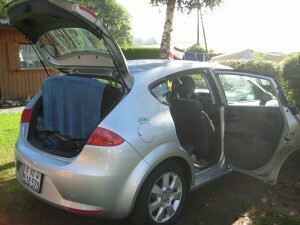 The B&B was located approximately 5 minutes from the town center and the available car park allowed us peace of mind while touring. I would recommend this B&B to anyone in the Lake District. We arrived in Conwy just before the TI closed and they were unable to help us find a room for the night but did provide a map with B&B listings. With some serious trepidation about finding a good spot, we set out and began knocking on doors. At the second B&B we arrived at, we were greeted by the host, Colin, who showed us the room and provided more information about the house. We could tell from the outset that this place was special and unlike many of the other places we have stayed at over the course of several months of European travel. Our hosts pay every attention to detail and provide an amazing night’s stay. The free wifi access was a nice, added bonus. Breakfast was delicious – the best we’ve had since arriving in the UK. 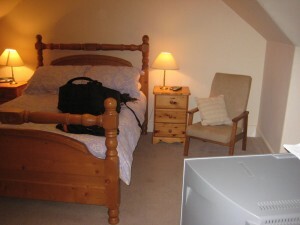 I can’t say enough about the excellent accommodations at Gwynfryn in Conwy and would recommend it to anyone. Just on the outskirts of Warwick, we found Chesterfield’s B&B to be just what we needed for an overnight stay. After booking the room at the TI in town only 15 minutes earlier, we were pleased that our hosts were waiting with the room perfectly prepared when we arrived. 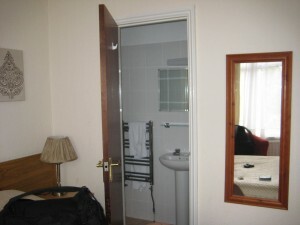 The room itself, a double en-suite, included a small but adequate TV and free high-speed wifi along with a small, retro-fitted bathroom and comfortable double bed. The full English breakfast was delicious and exactly what we needed to start our long journey to the Welsh coast. Thanks to the Chapmans for a fantastic stay. 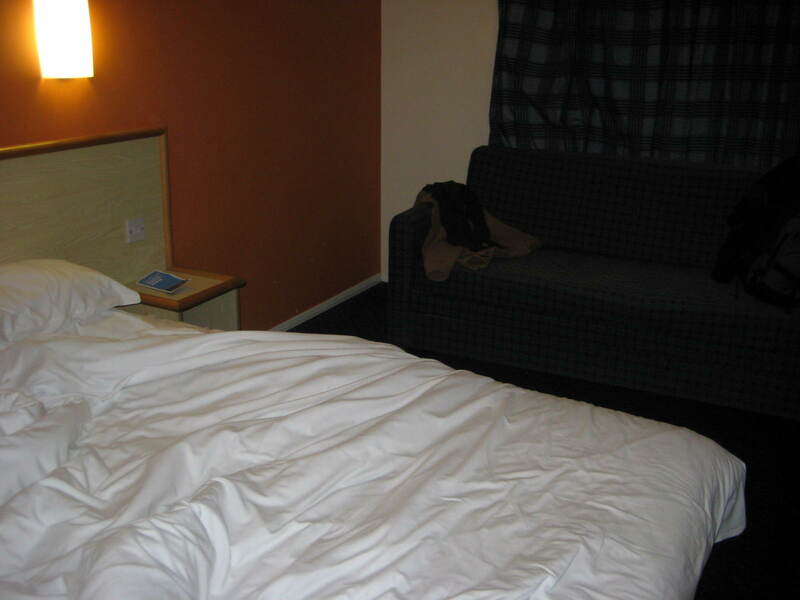 Upon arrival in the old part of Swindon, we were unsure if we’d be able to find inexpensive accommodation, and in fast, found that most hotels in the area were boarded up – either just randomly closed or shuttered for renovation. Just about to give up on finding something in the area, we noticed a sign near a Thai restaurant letting people know that parking was for the restaurant or The Bell Hotel. Looking up, we noticed rooms on top of the restaurant and approached the connected bar to find out if there was any availability. For 40 pounds per night, the twin room with included wifi (but not reachable in our rooms) was exactly what we needed on short notice. The bar itself was your typical English pub and we were concerned about the appearance of the rooms but we clearly shouldn’t have been. You could tell that the rooms were either recently renovated or were well-maintained and they were very comfortable. Although the hotel did not serve breakfast, they had thoughtfully provided several snacks including buns, bananas, and crackers that we found adequate for our needs. I would definitely recommend this surprising hotel for anyone staying in old town Swindon. 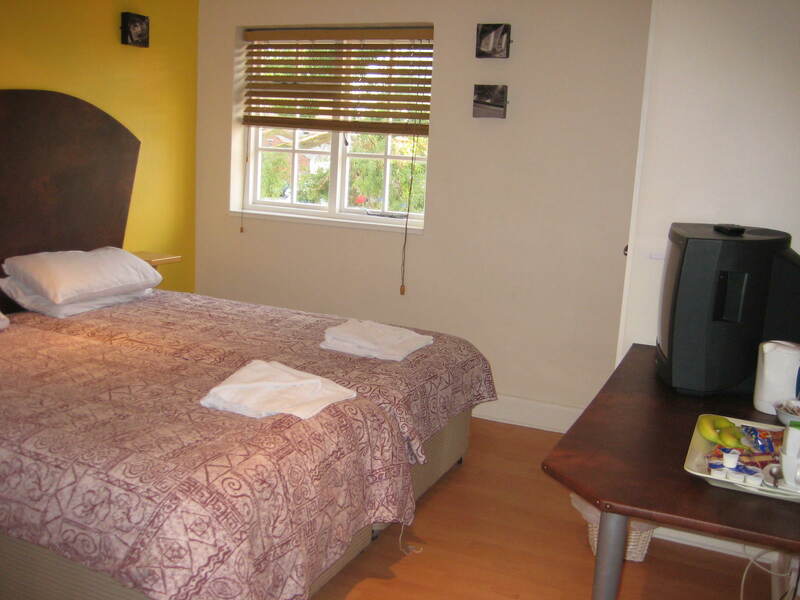 This hotel, located in the heart of Wells, is a great base to explore the city and surrounding area. Directly across the street from the beautiful cathedral, we were surprised to find it with adequate parking and as well, internet availability. We enjoyed both dinner and the included full English breakfast at the hotel’s restaurant and found both meals to be delicious, made with gourmet ingredients. Most impressive were the included breakfast choices and responsive staff. After sleeping on some amazingly uncomfortable beds lately, we found the large, solid oak bed and medium-firm mattress to be just what we needed. We were also surprised to find a couch in the basic double room. 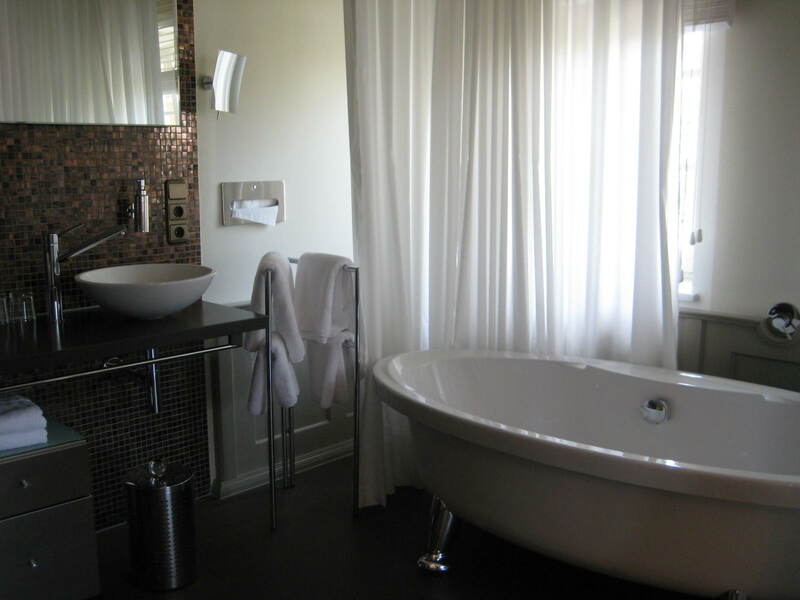 One of the most surprising things in this hotel dating from medieval times was the retro-fitted spacious bathroom and soaking tub. 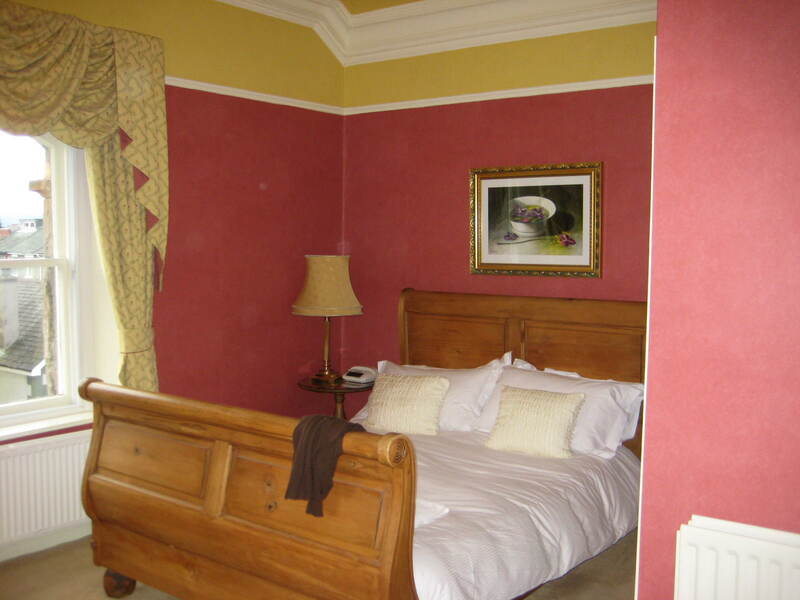 This is a fantastic location and perfect hotel for your Wells visit. Be sure to walk over to the Bishop’s Palace to watch the geese and swans being fed at the drawbridge. We snagged a twin room at the White Hart with shared bathroom with only one other room for two nights and it was absolutely perfect. The room was comfortable and convenient – only five minutes from the train station and ten minutes from central Bath, with several cafes and restaurants in the neighborhood. The bathroom facilities were clean and adequate and the complimentary wifi was perfect – if only it hadn’t gone down on the last morning of our stay. Rooms in Bath are very expensive so it was great to have such a nice and affordable place to call home for a couple of nights. The room at Prince William hotel was booked with the intention of being just a place to sleep and shower before continuing our journey and I am very glad that’s all we needed it for – it’s tiny and furnished with some interesting choices. Located on the fifth floor of a building with an elevator that only goes to four, we used a lot of stairs and are happy once again, that we pack light. Both the double and the single beds in the room are low-quality and springy with an older Ikea look about them. 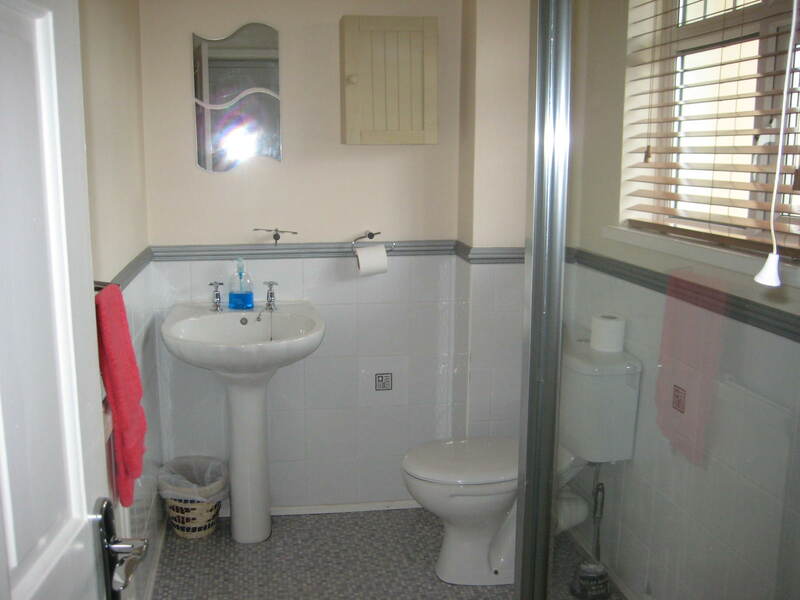 The rest of the mish-mash furniture is jumbled throughout the room which does include an en-suite bathroom. The bathroom is hilarious – pretty small with things poking at you while you’re trying to use the toilet and a shower that only operates on dribbling steaming hot water – at least as far as we could tell. The breakfast was decent only if you purchased the upgrade to English breakfast for 3 pounds. The included meal was very minimalist with toast, cereal, and juice/coffee. The English included a fried egg, ham, sausage, baked beans, and canned tomatoes and was a decent value. Served in the basement of the building with an a/c unit that shuttered as it rotated, this too, required stairs and was a bit of a dreary experience. Warning: The tiny elevator has an amazingly violent shake as it reaches its destination floor – the first time it happened, I thought we were going to plummet but you start to get used to it after a few rides. In all, the Prince William is just fine if you go into it with an appropriate expectation level and use the room as a quick in and out while touring – would not recommend for stays longer than 3 days. 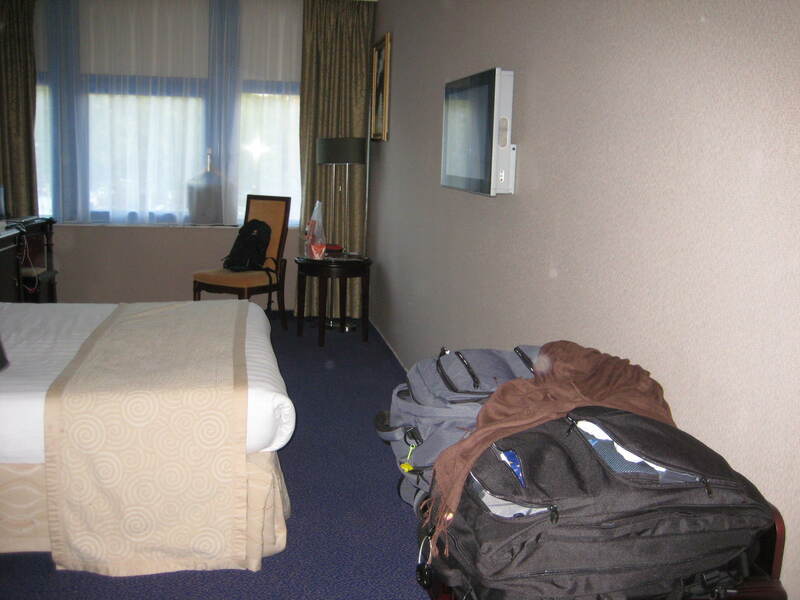 The Best Western Blue Square is located in the subarbs of Amsterdam near transit and pedestrian malls. The neighborhood is Turkish and very nice but there are not a lot of dining or entertainment options. The rooms was average-sized with basic furnishings. No mini-fridge. The bed was extremely soft – almost uncomfortably so. We found reception to be prompt and friendly and service staff overall were fairly professional. We ate buffet breakfast for 10 euros pp in the hotel on Sunday – mostly because everything in the area was closed and we were starved. The hotel charged the city tax separately, even though this was not advertised on hotels.com. Disappointing, but only 21 euros. Reception sold transit passes and rented bicycles which was convenient – as you’ll definitely need them. A great neighborhood for shopping! We stayed at the Barcelo located in Rudolfplatz neighborhood for four days to do some shopping and relaxing before continuing our journey. It was a large hotel, similar to those in the US with a larger than average bathroom with soaking tub and small ice box that could be used. The neighborhood was filled with plenty of eating and shopping options and was a comfortable location to do sight-seeing in Koln – only 20 minutes from the Dom on foot. Breakfast was not included in the rate we paid but could be purchased for 20 euros per person. We decided that the lovely neighborhood bakeries would suffice at a quarter of the price. 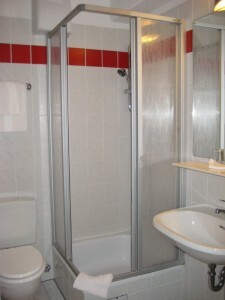 I would recommend this hotel to anyone staying in Koln. 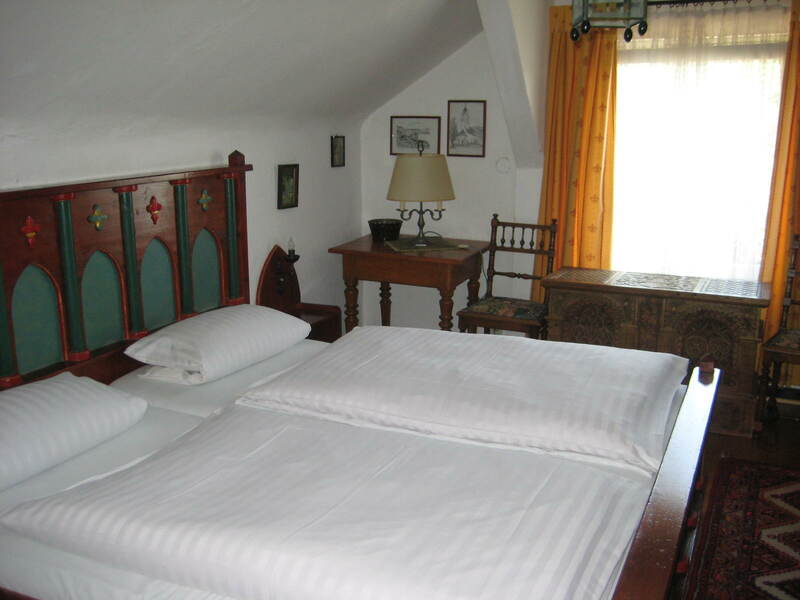 This charming hotel in Rudesheim am Rhein was just far enough away from the train tracks so that we did not hear them roar by in the middle of the night as often happens in the Rhein valley. 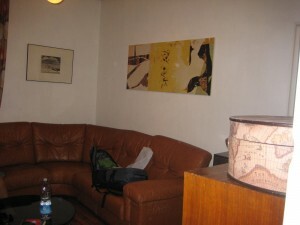 The room was one of the Superiors and had a nice sitting area with a table and larger bathroom. 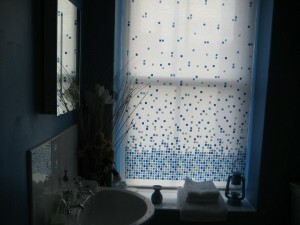 The blinds were controlled electronically and the stained glass windows in the room were charming. The hotel itself definitely had ducks as its mascot and they were *everywhere*. Seriously – the kitsch was almost over the top. Inside the rooms, however, we could only find one duck decoration and were thankful for that. Breakfast was lovely – with breads, meats, scrambled eggs, boiled eggs, cheeses, fresh fruits, granola, a variety of juices, and an individual coffee carafe. The breakfast staff were very helpful and did a good job of maintaining the buffet with lots of good choices. Checkout and in were positive experiences, if after about a five minute delay. The hotel was situated near the little piazza in the center of town near a fountain. We enjoyed tasting local wines sold by a vendor who is exchanged once a week on Thursdays, giving everyone an equal chance at the wine-drinking tourists and locals. The two reislings we had cost a mere 2.60 euro total! It was excellent wine too so don’t miss it! Spending time on the Rhein Valley, we just *had* to have the Castle Experience and fulfilled that completely with the Burg Liebenstien. This mostly-ruined castle is run by a family and maintains much of the castle charm you seek without the exhorbitant prices charged by some of the other castles. We reserved the double room but when we arrived, the owner said that the rooms were full and that they’d had a lot of cancellations and drop-ins, so he offered us a better room for the same price as the double room. This suite included a seating area with table and chairs overlooking the other castle across the valley. 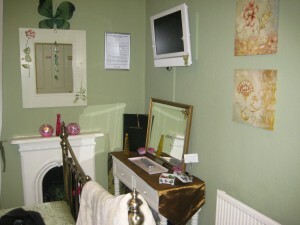 It was fully furnished with a variety of new and old items and was fun to take pictures with. If you are lookng for the large experience of exploring a castle – this is not the place to stay. The grounds are small and high on cliffs as you might imagine. We stayed for dinner and really liked the pork-dishes we ate while the sun set over the Rhein river valley and barges moved effortlessly along the banks sharply below our towering heights. What an amazing sunset. The castle breakfast in the morning was lovely with a basket of bread and sliced ham and cheese with a variety of spreads. Fresh coffee was delivered when we sat down in our chairs overlooking the Rhein valley. Exquisite! There was some confusion upon check-out about how much the room would be 145 or the promised 120. A very gentle reminder of the agreement was all that was needed to correct the situation and pay as promised. I would recommend this for people seeking to have their “spend a night in a castle” box checked. Prices are reasonable and the location is beautiful. 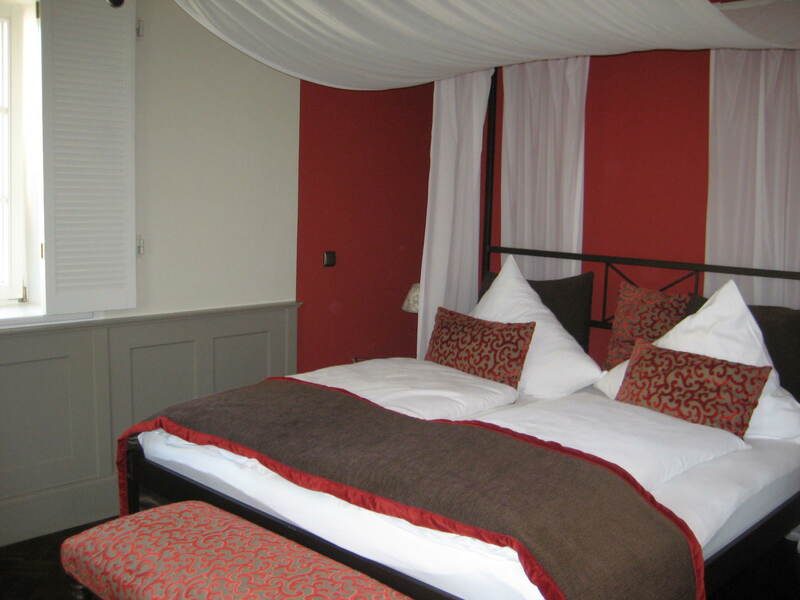 What luxury – the superior room is fantastic! We have been using hotels.com to book most of our rooms for this trip and they have a welcomerewards program which allows you to earn up to 10 free nights per year – booking the equivalent of 100 nights. Since we are traveling for quite a while – this actually makes sense for us to do and we have earned over 3 rooms. 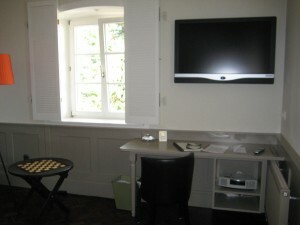 We used our first to stay in the best room in the Villa Mittermeier. How lovely! It was equipped with a flat-screen TV, canopy bed, free mini bar, separate toilet, separate shower, and soaking tub for two. While the views were not romantice, the room truly was. Check-out was easy and brusque if anything. Check-in was efficient and gracious – excellent staff. The villa is located about 200 m from one of the main Rothenburg ob der Tauber towers and you could gain access to the main part of town in about ten minutes. I would highly recommend this hotel for a romantic, lovely evening without having to worry about parking in the old town. While finding the Carathotel could have been difficult, our explicit directions to us directly there. We did have a hard time finding parking in the hotel lot but found the overall location to be convenient to the freeways we needed to use. 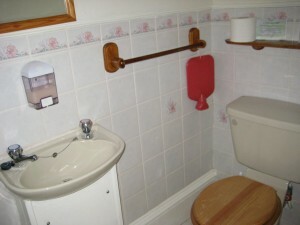 The bathroom was stocked with hand and body soap and was very clean. Beds were very soft and the table was a nice bonus. The hotel is situated in an industrial area, so finding services open at night nearby are almost impossible. Give in to the Mexican restaurant attached to the hotel – it’s good and a good value for the money. Service was excellent and they have an English menu. Enjoy! Use of the PC with attached printer in the lobby area was terrific for printing boarding passes and such. Heading into Switzerland, we knew it would be expensive — but we had NO IDEA!! On the first night out of Italy, we were so excited to find an open Indian Restaurant at 8 pm and cringed while paying over 25 euro per main course. It was an expensive (but delicious and nice change from the Triple P of Italy (Pizza, Pasta, or Panini)). Knowing that hotels anywhere near the area were over 250 euros per night and basic hostels were over 70 euros per night and that we wanted to explore much of the mountainous Bern Oberlander region, we rented a car and spent the night in it at a nearby campground. Much like a US KOA, it had very clean bathrooms, private shower stalls, w/d, and a fully-stocked kitchen. Add the free wifi access and we were in heaven…. Until it stormed with thunder and lightening on the first night of our stay and then dipped into the 50s on the nights we slept there after the storm. It was darn cold and we wore practically everything we had to stay warm. It was definitely adventurous and probably just stubborn but worth it, I think…. 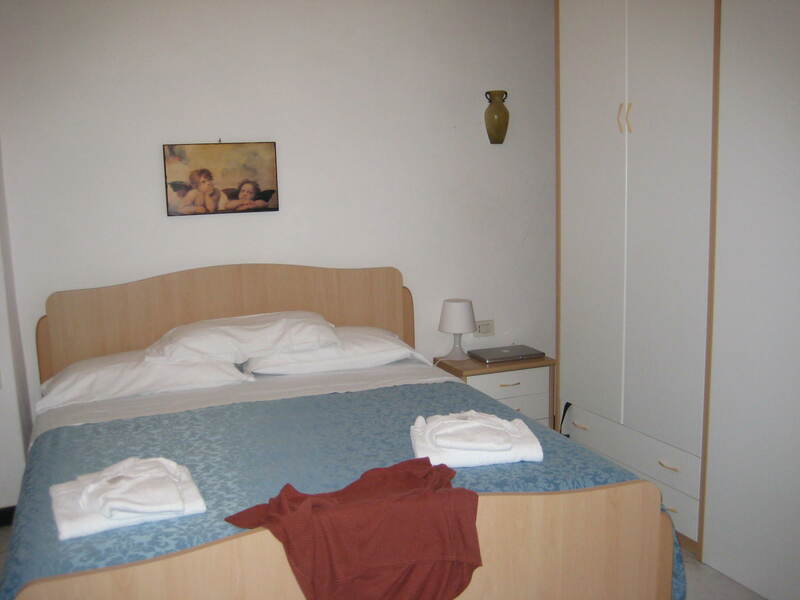 In the Cinque Terre area, we decided to stay in Rio Maggiore and selected Edi’s Rooms because of the apartments and what we feared, correctly, would be expensive restaurants in the area. This tactic worked out well as we spent our time in a two-bedroom apartment overlooking the main street with washer and full kitchen. We were able to do a combo eat out and in due to the proximity of decent restaurants and grocery stores. The water heater/pressure left something to be desired in the shower and no sea view was a bit disappointing but all in all, a good apartment at a fair price with great people watching opportunities. 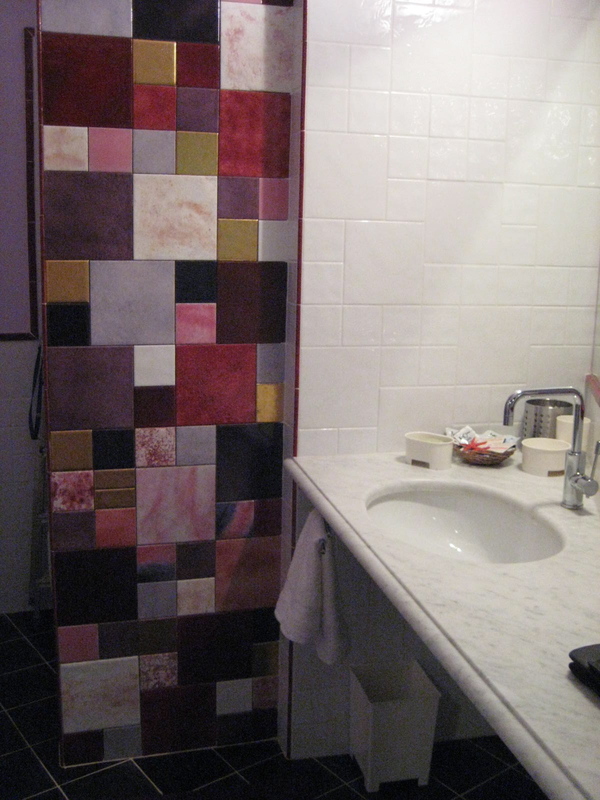 Our experience with a fabulously well-appointed and cared for apartment in Firenze definitely colored our experience with a, somewhat, mis-managed apartment in Rome. 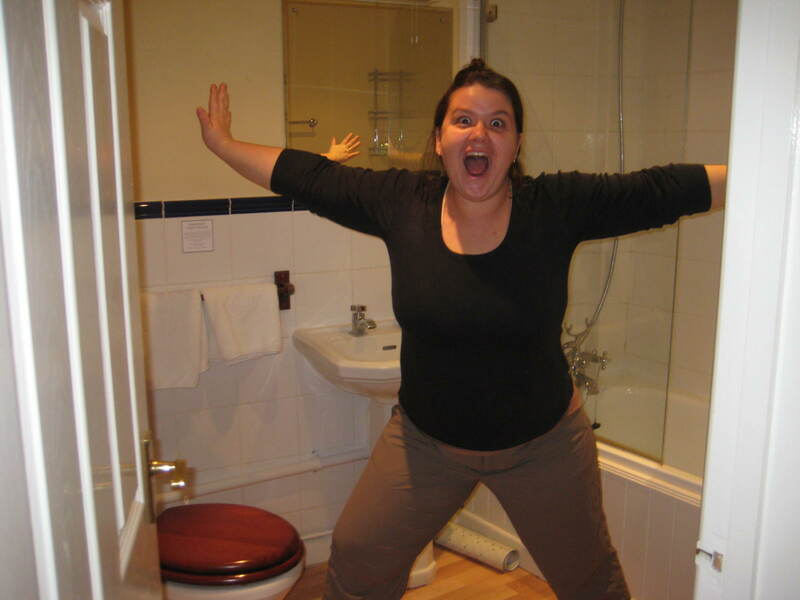 After a series of management mishaps we finally settled into a two bedroom apartment with a decent-sized bath and an equipped kitchen, albeit with grease and grime-coated equipment. A/C was available in the bedroom but not the living areas of the house so we used the available fans which helped quite a bit. The washing machine was nice to have. 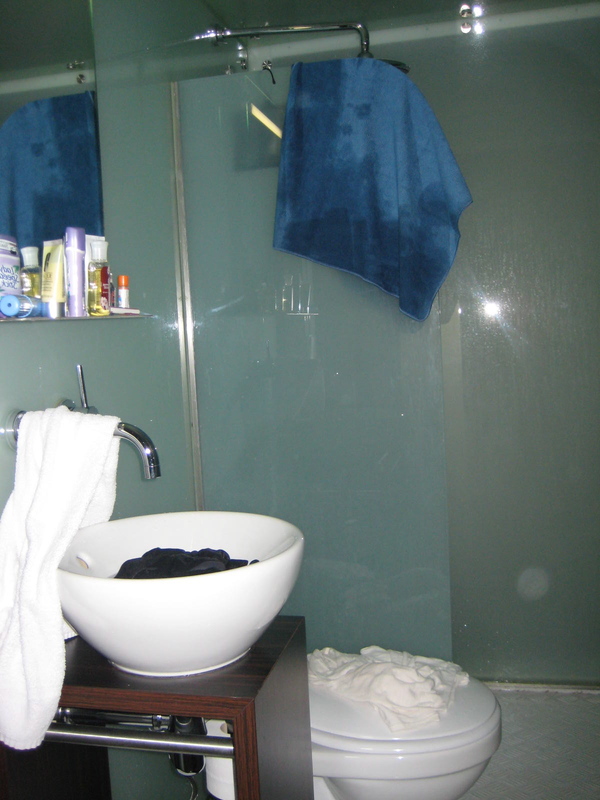 On the day before we were scheduled to depart, the water pipes upstairs from the unit burst and gushed water into our bathroom. 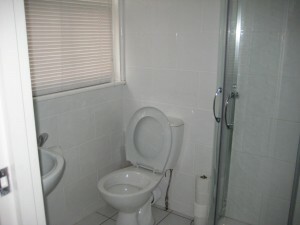 The landlord responded promptly to our call and the situation was rectified quickly. The apartment was located in the lovely Piazza Navano area of central Rome and was walking distance to and from everything. 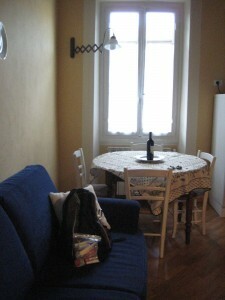 I can’t say enough about how much we loved our apartment in Florence. The hosts went out of their way to ensure our stay was pleasant, even providing a stocked kitchen on our first night and a ride to the transit station when we departed. When we initially arrived there were problems with the wifi working but this was resolved within 24 hours and our hosts felt so badly about it that they provided home-cooked lunch to help make up for it. Once resolved, we enjoyed the high-speed access and the powerful air conditioning in the August heat. The washing machine and dish washer came in handy and we were very happy with the proximity to a grocery store allowing us to cook our own meals for the first time in several weeks of traveling – what a blessing! The apartment was extremely quiet and immaculately maintained with all the basic essentials. It was very convenient to bus stops and restaurants as well. If we find ourselves in beautiful Firenze again, we will definitely stay here! This hotel, located across the Grand Canal from the San Marco Piazza was a perfect bargain hotel for our two-night stay in Venice. The residential neighborhood provided few dining and shopping options but for the most part was a nice, quiet area away from the main tourist foot traffic. The staff were very friendly when we needed to speak with them and helped provide dining alternatives as many of the shops nearby were closed for August. We reserved a room with a shared bathroom to save money and were pleasantly surprised to find that the only thing shared was the toilet – shower and sink were located inside the room itself. 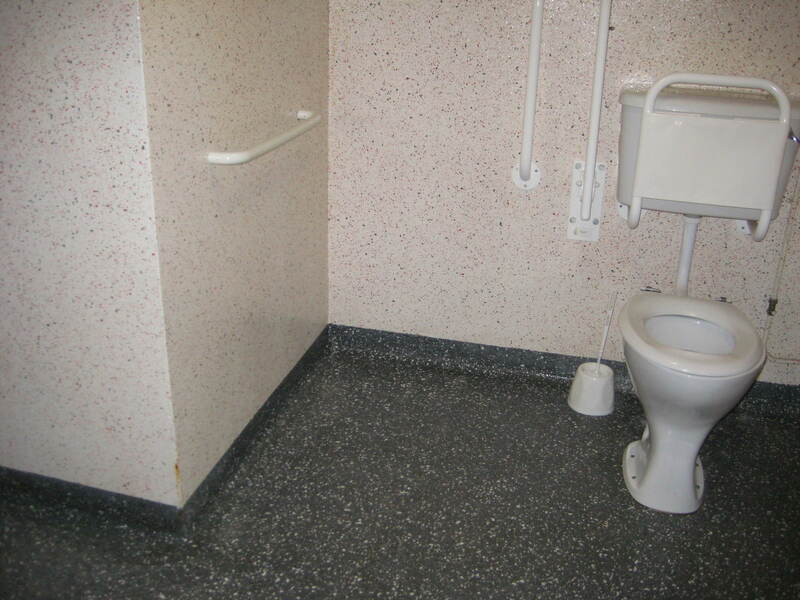 There were several toilets per floor so there was never a wait. 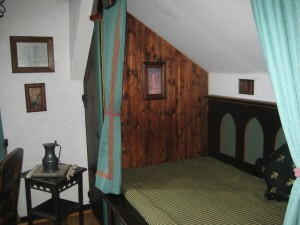 The rooms were basic and small but exactly what you would expect from a bargain room in a building from the 15th century. The carpets could have used some cleaning but the beds/linens were just fine. The one complaint we have is that it would have made for a much nicer stay if the windows had screens – we spent a good part of the hot August night battling mosquitoes and losing. The rate we paid did not include breakfast but this could be purchased separately for 8 euro each. We found it easier to head off to our sightseeing and grab breakfast (espresso and a pastry) for half as much. 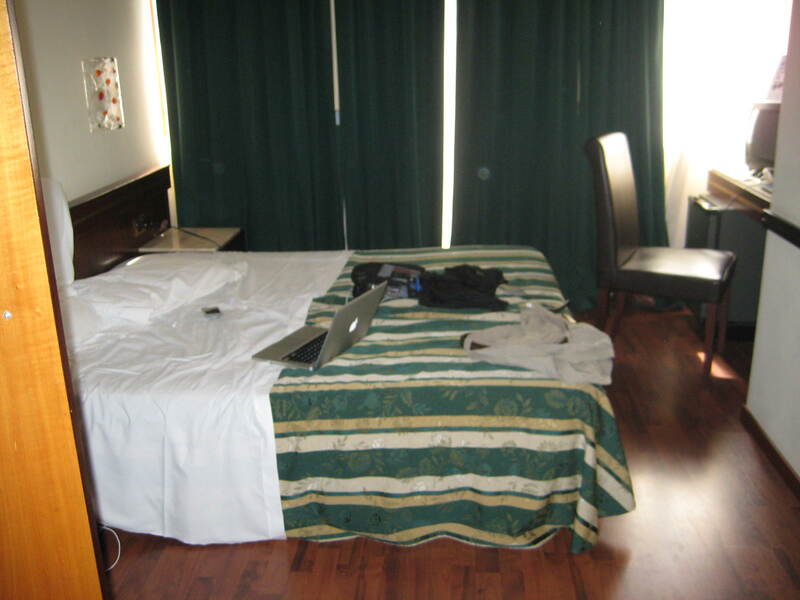 The hotel promised wifi access and seemed to have it – but not in the rooms, only in the lobby. As it turns out, we were so incredibly enchanted by Venice that we never picked up the PC once – and that’s saying a lot for us! 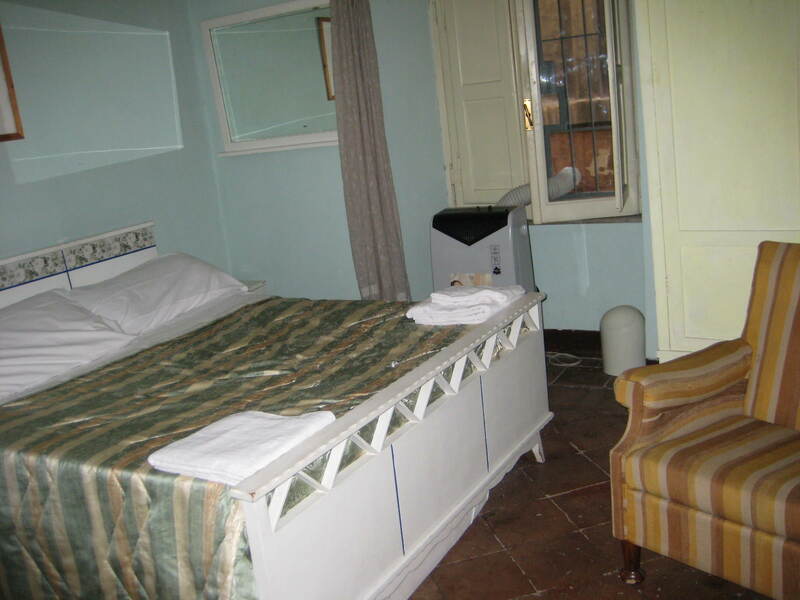 I would definitely recommend this hotel for bargain hunters who want to remain in Venice proper. We stayed at Hotel Florida for 6 nights and found it to be exactly what we needed in Milan. 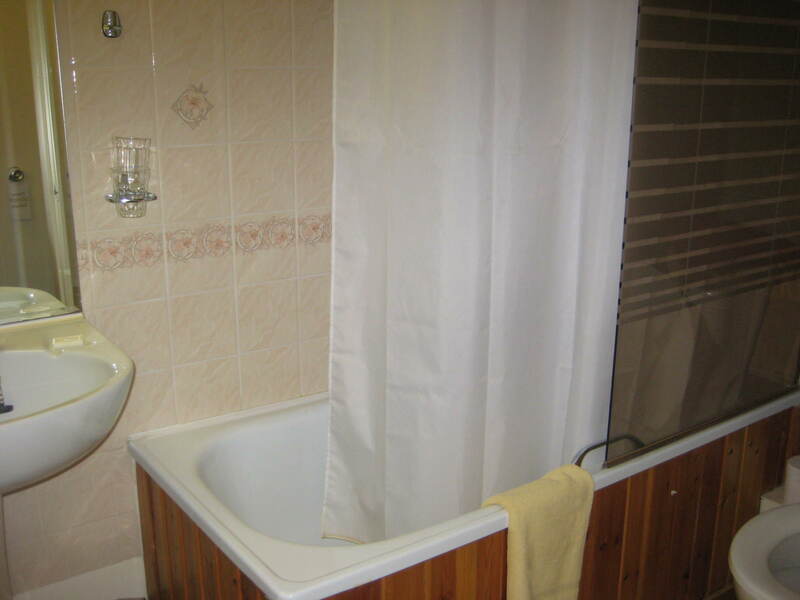 Close to the train/metro station, it allowed for easy day trips to Lake Como and easy access to the tourist sites of the city while remaining reasonably priced due to its location – a bit away from the city center. We found the staff working in all areas of the hotel to be extremely helpful, welcoming, and professional. The free wifi access was such a treat – albeit a bit slow, okay, very slow. Our room was situated on the fourth floor (five US) overlooking the road and was extremely quiet. The a/c worked well and was refreshing after a long day of sightseeing. Since we visited Milano in August, many of the shops and restaurants both in the neighborhood and in the city proper were closed. However, we were able to find great restaurants a metro ride away in the Navigli neighborhood and even relied upon the grocery store located in the train station to supplement our eating options. Breakfast was a true continental with bread, pastry, milk, cereal, yogurt, and juice. The star of the breakfast show was definitely the free capuccino/latte/coffee but you could purchase supplemental items like fried eggs and ham for a small fee – very worthwhile for those days of heavy sightseeing. 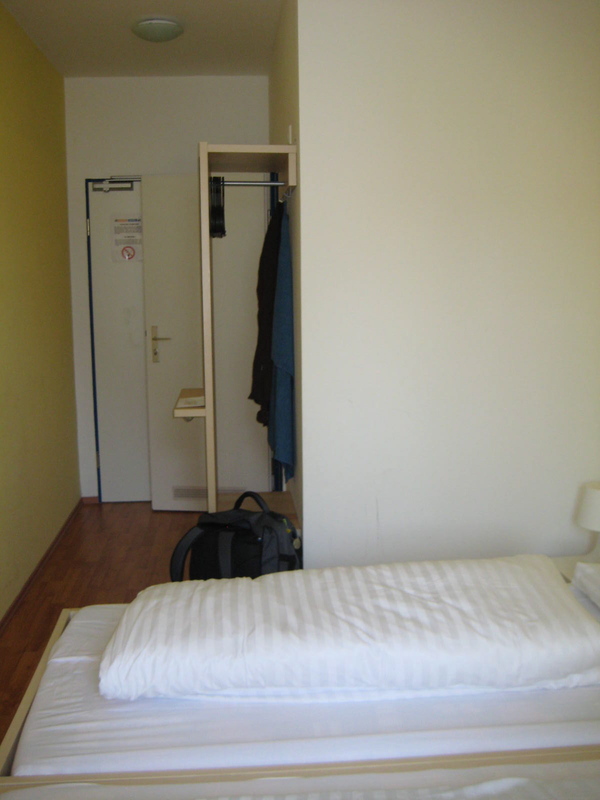 We stayed at the A&O for a few reasons: inexpensive accommodations for two, overall proximity to transit, and inexpensive wifi access (5 euro/24 hours or 8 euro/7 days). The A&O definitely fit that bill completely. The rooms are very basic: two twin beds, a small table and a few rickety chairs, TV, and small wardrobe. Luckily, we did not need anything fancy. The bathroom had the usuals plus a heated towel rack – nice for drying clothes. We ended up staying in three different rooms because we would book for only a few nights hoping to find something where wifi was guaranteed to work in the room. However, our investigations of other hotels in the area on foot kept coming up blank, so we’d book the A&O for a few more nights – requiring us to check out at 10 am and check back in at 4 pm. It worked out pretty well because we spent the time exploring a few museums in the area. The traffic noise is pretty bad and there is construction nearby so you also have the sound of power tools throughout the day. The fellow tenants are really not too rowdy but could be a little loud in the late nights (maybe I’m just too old). As far as wifi goes, neither of us had full access in any of the rooms. 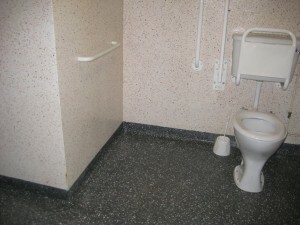 The first one allowed one person in-room access, the second room allowed no one access, and the third room allowed the other person in-room access. The signal is very weak and only resonates from the lobby. Ask for a room near there in order to get the strongest signal possible. 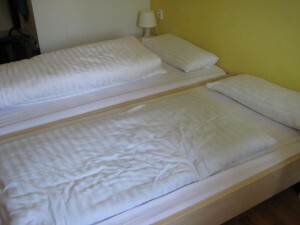 The beds are pretty firm / flat – kind of like sleeping on the floor with a small padding underneath you – not terrible but after a week, we looked forward to finding a new bed to sleep in. All in all, it is a good location and hotel for stays of 3-4 days. We were satisfied with this hotel overall. 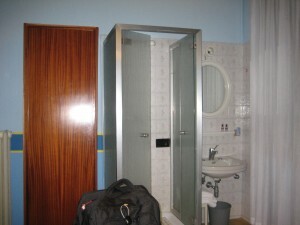 It is exactly as described – we stayed in the “apartment” room that included a small kitchenette and separate bathroom. While we did not use the facilities in our one night stay, it was easy to see that the kitchen could add a lot of value over a long-term stay. Breakfast was not included but could be purchased for 12 euros per person – steep price when there are so many breakfast options nearby. We were a bit disappointed as one of the previous posts indicated cheap internet access and as well, we emailed the hotel in advance to inquire of the cost for access and were told it would be 17 euro per 24 hours. With this in mind, we booked the hotel and upon check-in, found that there were two options only available for access: 8 euro for one hour or 29 euro for 30 days of access – the 17 euro option outlined in the email from the hotel was not offered. The neighborhood around the hotel was very nice and appeared to be more of a neighborhood for locals than a touristy area. There were plenty of food options nearby and the transit station stop was less than a five minute walk to and from the hotel. 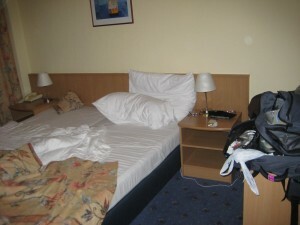 This small hotel, located just outside of the Salzburg center was very nearly perfect. The staff were all very helpful and went out of their way to assist when questions arose. Breakfast was not included but could be purchased for 9 euro. We found the bakery across the street to be more than sufficient and as well the outdoor market was great for a quick bite. The hotel appears to be in more of a neighborhood area of town and was not overrun with tourists seeking Mozart balls. We found a great dive restaurant around the corner called the Hot & Spicy which served pizza and Indian food – both were great and reasonably priced, especially when compared with many of the other restaurants in Salzburg. You have to check it out. The service was great and we enjoyed watching the interactions of the locals with the staff. Nice room in fun colors - if only VPN worked! 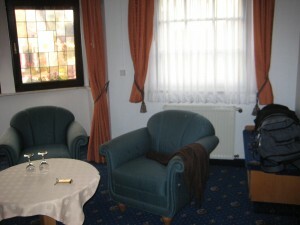 The room itself was perfect – spacious enough and quiet – overlooking the backside of the hotel (all of them do). It was trimmed in red-toned veneer but the rooms are all trimmed in different colors, a nice touch I think. There was plenty of storage in the room and the bathrooms were nicely appointed and divided. The internet in the room was free and fast – only problem was if you require VPN access – this did not function as I do not believe the reuter was set-up to allow for it. 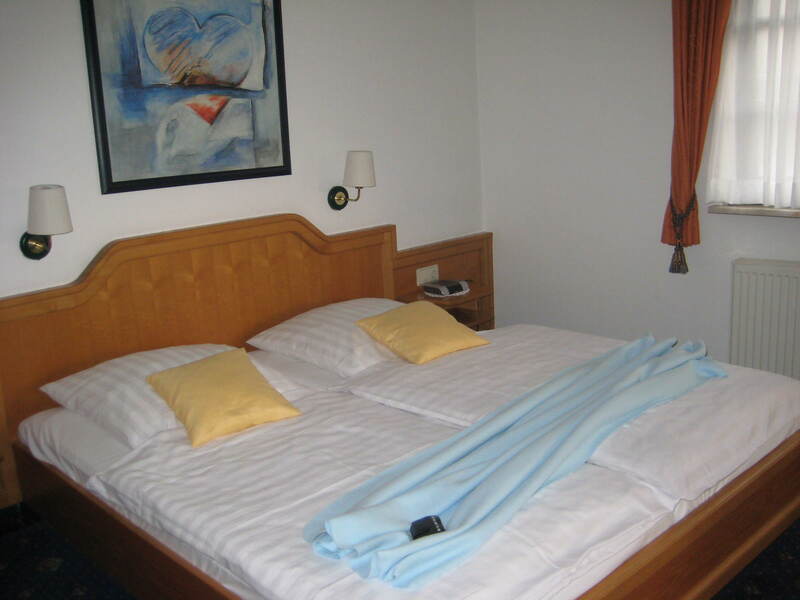 With easy transit options to the touristy parts of Salzburg and inexpensive lodging costs – this was a perfect hotel to recommend to leisure travelers. 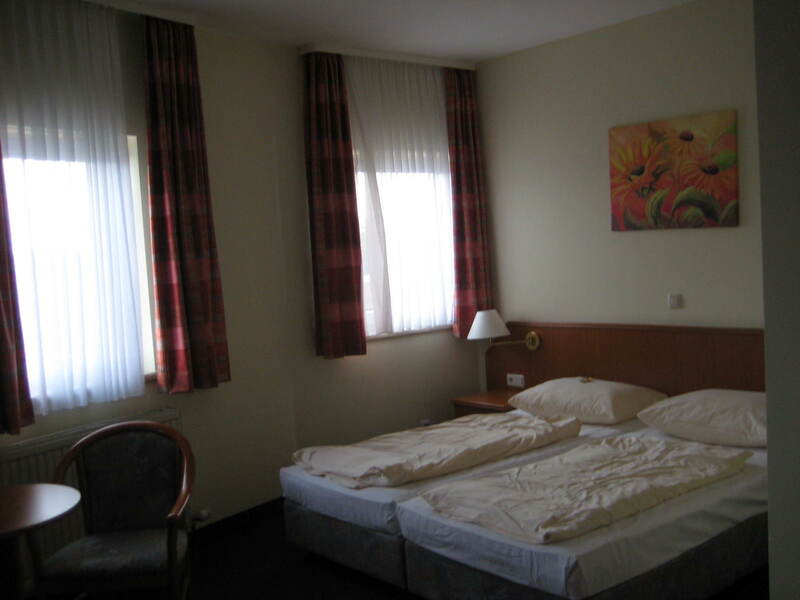 The A&O Hotel and Hostel in Vienna was conveniently located very close to a U-Bahn stop and a large shopping complex that offered tons of eating options. The neighborhood was just a little bit sketchy at night with all of the cabaret clubs and love motels but during the day was no problem at all. There was quite a mix of people staying at the hotel: young people, families, older folk — all types. The rooms had very thick walls and we could not hear the other guests staying in the hotel. However, it was quite hot in July with no air conditioning so we needed to open up the window and the street noise was quite loud. The worst part of the stay was the last morning when we awoke to jack-hammering at 6 am. There was no escaping it and it definitely did not start the day off on a good note. The included breakfast was quite adequate including all of the standard fare. There were several times when items were not replenished but for the most part, we always had enough choices and left breakfast full. The room itself was a good size and the bathroom was nice – it included a heated towel rack. The wifi access was excellent and although a 24 hour pass was 5 euro, a 7-day pass was only 8 euro so it made a lot more sense to go that way. Once we accessed the service it was excellent. We were also happy to be able to print documents at the reception area for only 0.20 euro. Over all, the hotel was perfect and provided everything we needed at an inexpensive rate. We enjoyed the time spent at Hotel Andante. 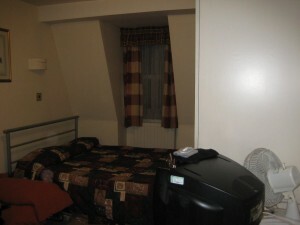 It is an inexpensive hotel with friendly staff, high ceilings, and spacious rooms. The included breakfast buffet is nothing spectacular but definitely fits the bill. There is no a/c in the room but we found the windows to be quite sufficient in July. There is a mini-fridge in the room which you can use to store personal items, so that’s nice. We also enjoyed the free and accessible wifi in the room, even if it proved to be a bit slow at times. The neighborhood itself is a bit sketchy, mostly at night – I think due to the numbers of random men loitering about and the proximity of several cabaret clubs. Located about two blocks from Wenceslas Square – this is a good, quality, and inexpensive hotel close to transit with good mini-markets nearby and quite decent neighborhood restaurants. 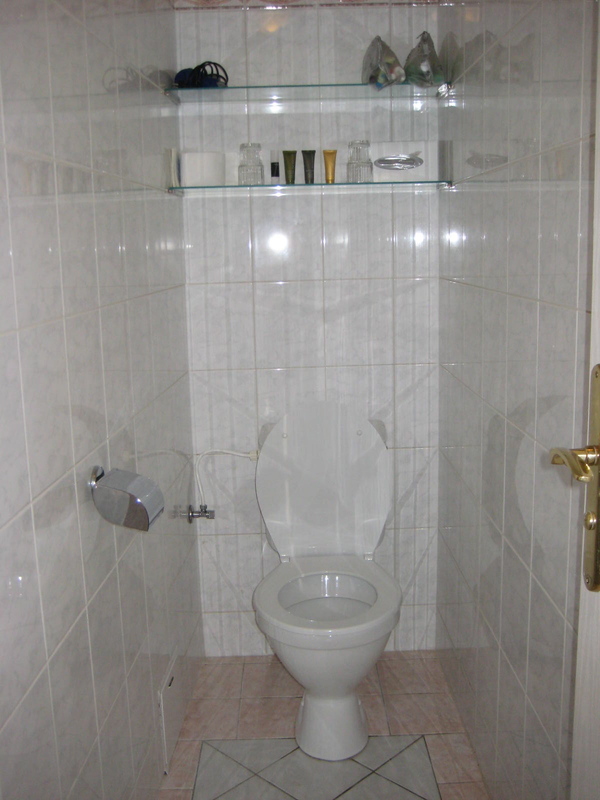 I would recommend the hotel to Prague visitors. 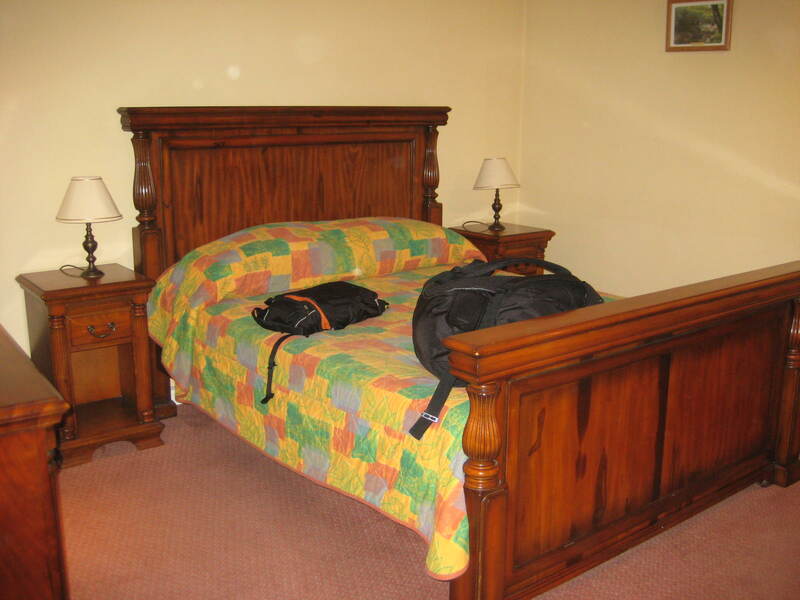 This charming and comfortable hotel would be great for a couple who wanted to be right in the middle of the tourist area and did not require internet access. Unfortunately, my partner and I require wifi or at the very least, internet access for two in our rooms due to extensive internet-based work demands. I spent several hours researching hotels in Prague to ensure that this demand would be easily met and Hotel Rott assured me it would be. When we arrived, drenched from a downpour, we were greeted by the friendly, front-desk agent who provided us with our room very quickly. At check-in, I inquired about wifi access in the room and was told that, in fact, wifi was only available in the reception area and the room itself had only a single plug-in – not what I expected based upon the research conducted on their website, hotels.com, and tripadvisor.com. We spent several hours in the evening in the reception lobby. It was not very comfortable but at least we both had connection. We listened to the front desk clerk all night responding to guest questions. Now that was an experience –very telling of the hotel itself and a bit of the agent’s personal values. I say this because the outcome was not at all flattering and we decided to stay at a different hotel for the remainder of our stay in Prague. The rooms themselves were nicely appointed, managing to fit a desk, mini-refrigerator, TV, and bathroom with towel-warmer – even in the room with the sloped roof that we were assigned. Our bathroom floors were supposed to be heated but we couldn’t get that to work – not a big concern in July but it would have been nice. The breakfast buffet in the Romanesque cellar of the hotel was terrific. There were quite a few choices: bread, toast, fruit, bacon, sausage, sliced meat, cheese, eggs, yogurt, cereal, cakes, juice, coffee, tea, and more – something for everyone it seemed. 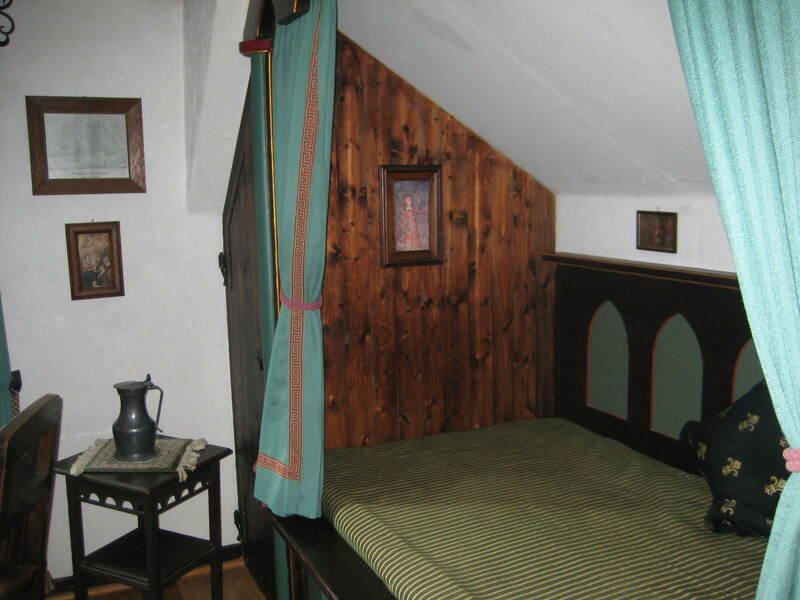 This hotel is definitely the oldest one I’ve stayed in – begun in the 1200s. The history is quite fascinating. Spend a moment reviewing it’s history in the entryway. All in all – it would have been a better experience if things worked as promised. 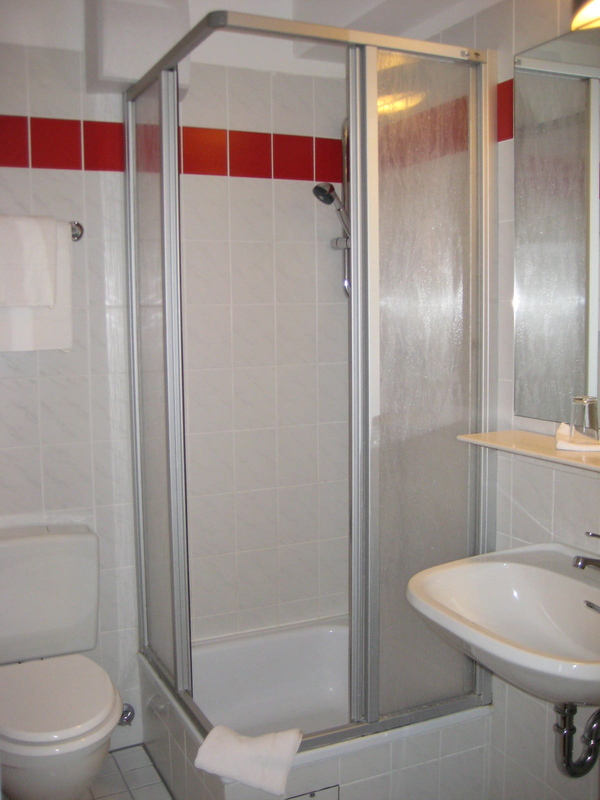 This Best Western has a lot going for it: comfortable rooms, great bathrooms with excellent water pressure and heated towel racks, and a location convenient to the U-bahn Samariterstrasse. Bear in mind that only the U5 stops at Samariterstrasse, however, so transit in and out of city center requires transfers – at least one and usually two. Nearby restaurants and cafes are very convenient, offering inexpensive meals and fast service. The grocery store located two doors down was helpful. There is a lot of graffiti in this area, however, I understand that this characteristic is indicative of most areas of Berlin. My only real issue with the hotel is that it was advertised as having Wifi access, which was extremely important for the duration of my stay as my partner was working the entire time. When we arrived, we were told that the internet just went down in the entire hotel due to a problem with the provider and that they hoped it would be repaired by the following day. Two more days passed without internet access – two more days spent in the lovely internet cafes down the road, a necessity due to work and one that would have been avoided by being able to work in the evenings, had the internet worked as advertised. I have to admit that we were concerned about access because of a review we read indicating trouble in 2008; however, we took the chance, assured that there would be Wifi on the hotel’s website and in the description on Hotels.com. Even though they said that the internet had just gone down – I found myself wondering if it ever worked at all. 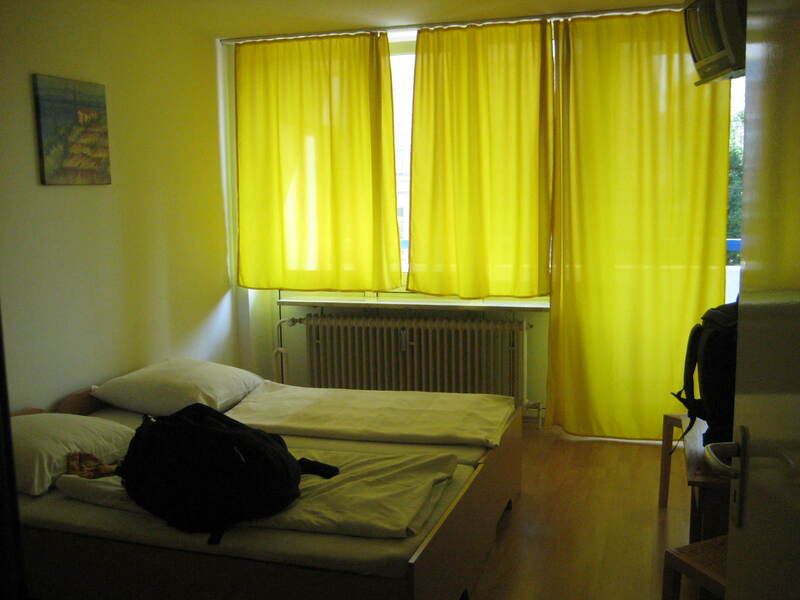 Recommended to those who will spend most of their time in East Berlin and who do not require internet access. 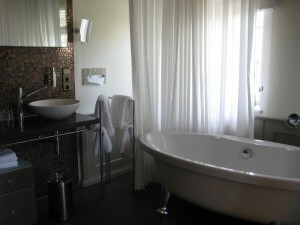 We spent a total of eight nights at this boutique hotel just outside of Amsterdam’s city center. A 25-minute ride on Tram 5 from Centraal Station, this business clientele-focused hotel, was a good place to stay. Transit connections were very close to the hotel and were easy to use with plenty of friendly GVB personnel nearby to direct your travel questions. The lobby was comfortable and the snack machines were very convenient. An internet-ready PC was available in the lobby but the Wifi in the room was even better. 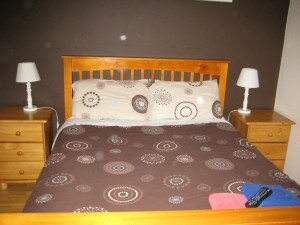 The bed was very comfortable and the side chair and desk were very well designed. The various lighting options were nice to have and we did not mind the open bathroom stylings, however, it was a bit cold to shower in the morning. In the future, I will probably stay closer to city center, however, this was a good Amsterdam “starter” hotel in a quiet neighborhood. One drawback is that as the area is primarily a business district, there were few eating/entertainment options available at night and on the weekend. That said, during weekdays, the Albert Heijn convenience store nearby offers a great selection of food and drink.